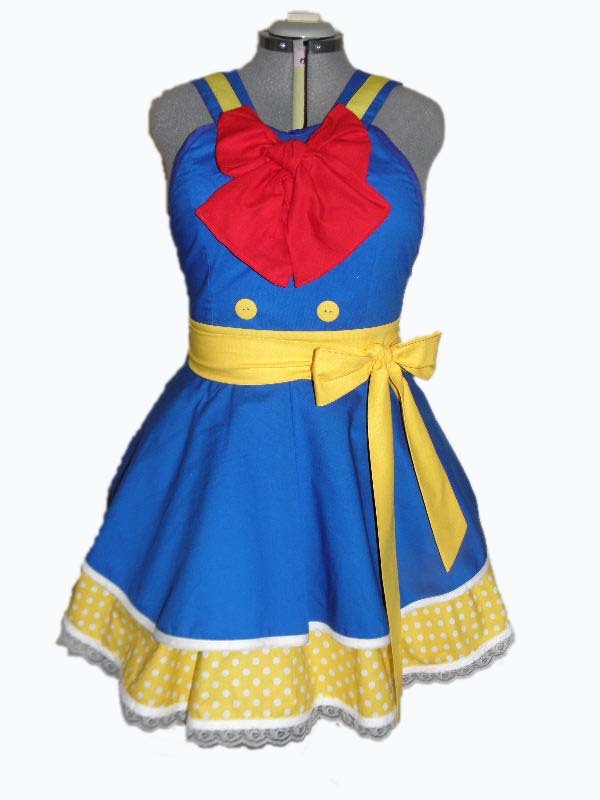 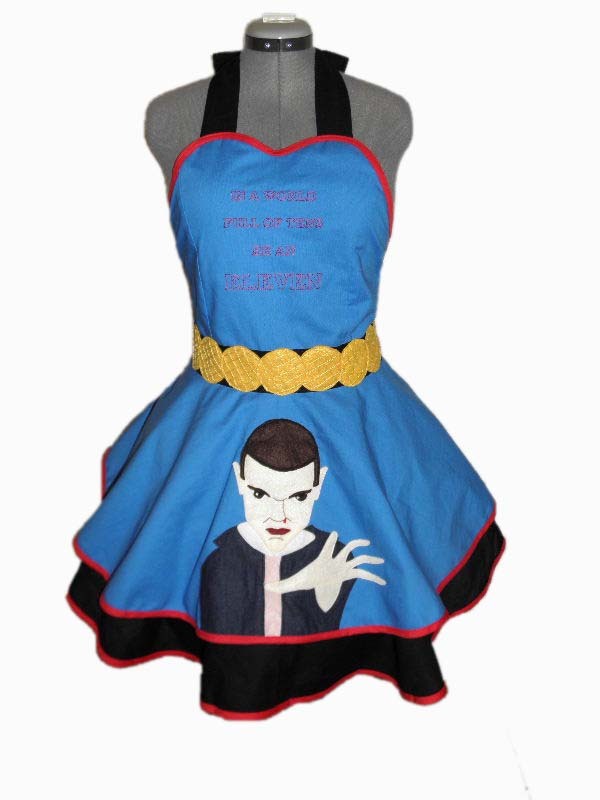 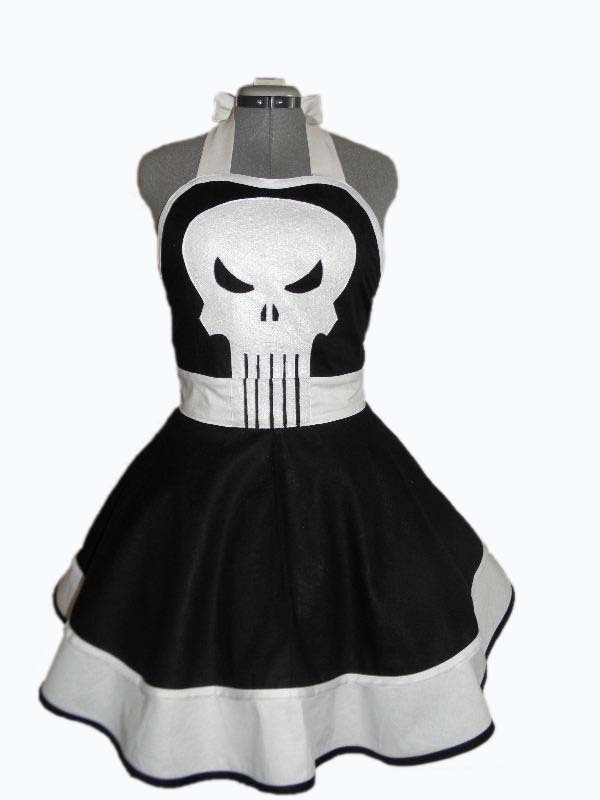 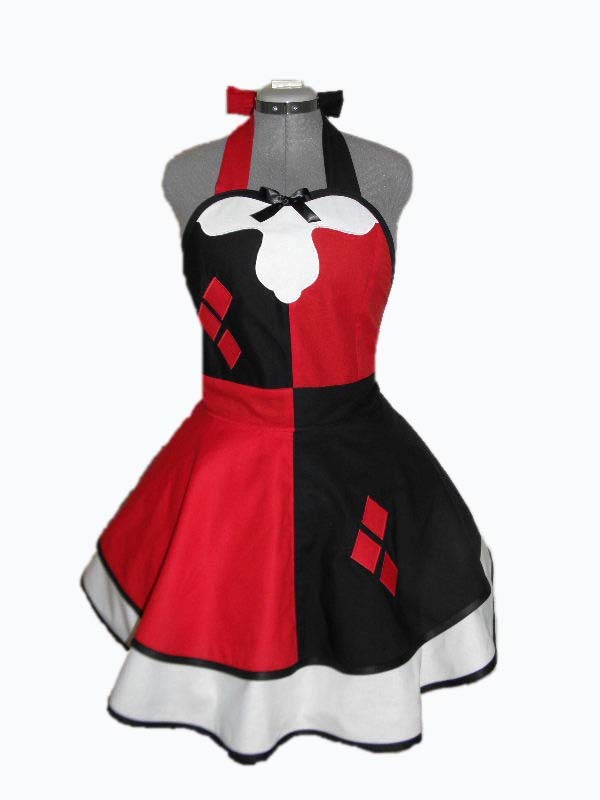 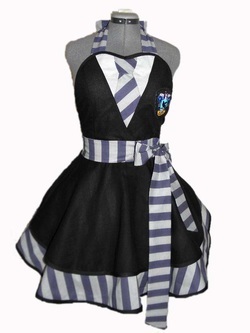 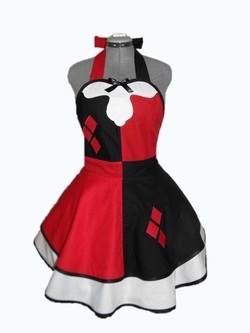 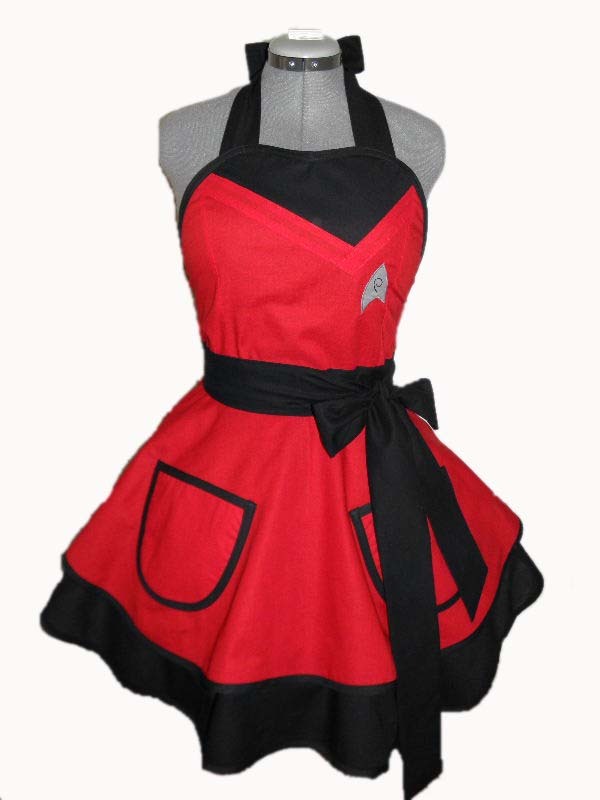 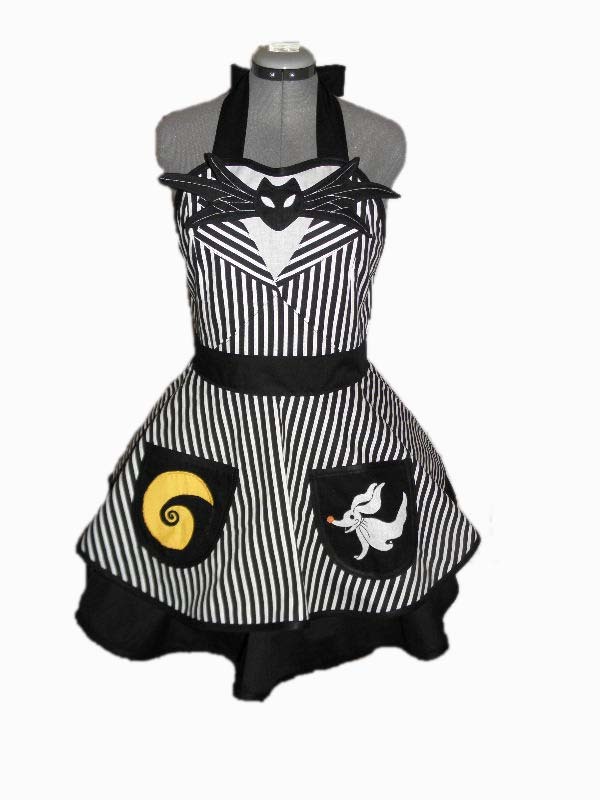 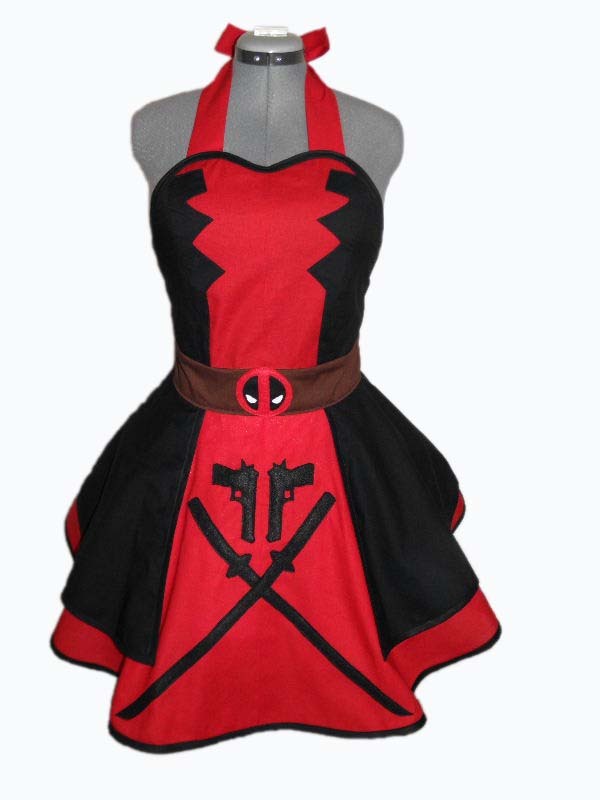 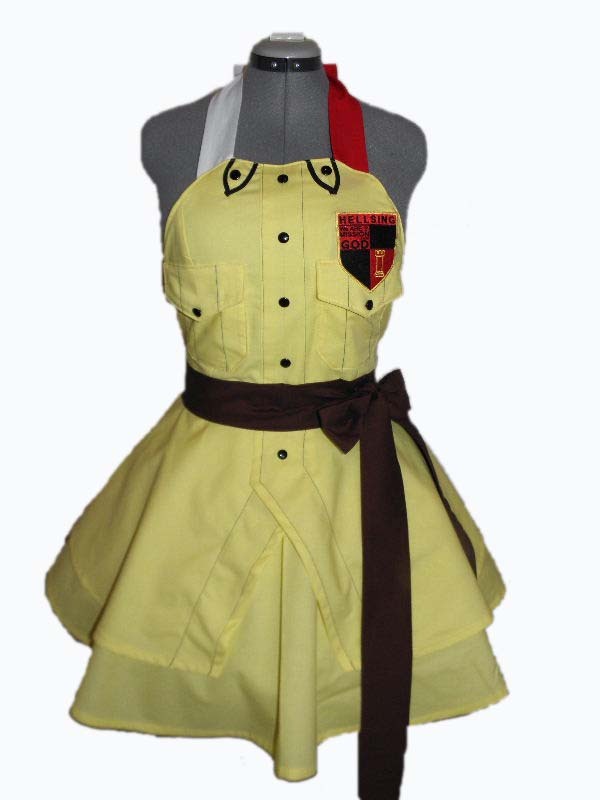 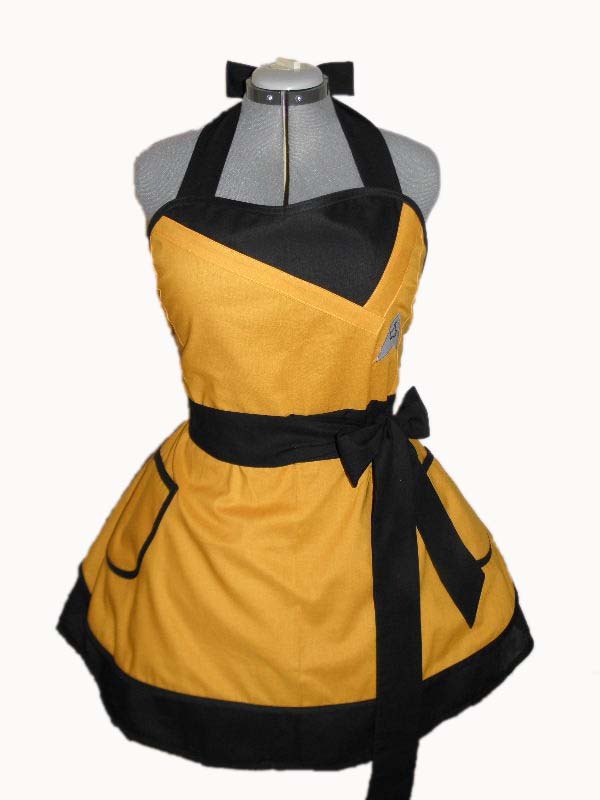 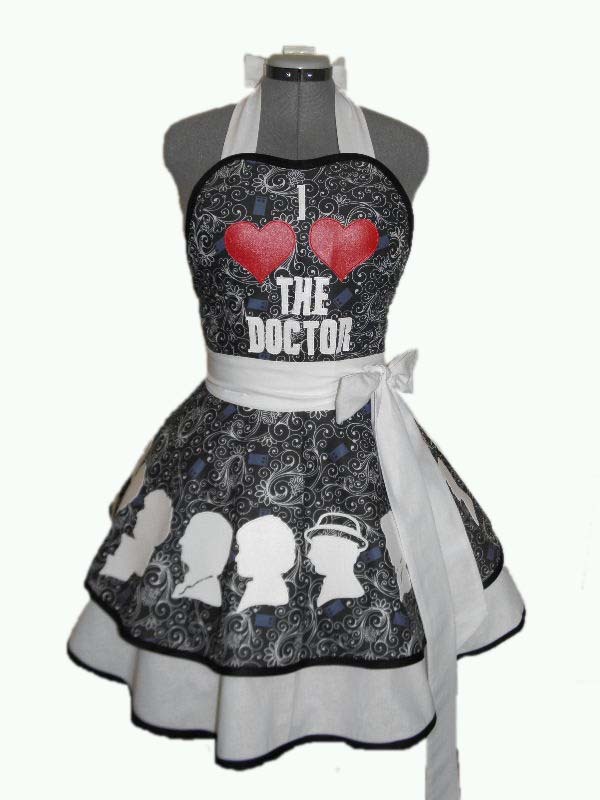 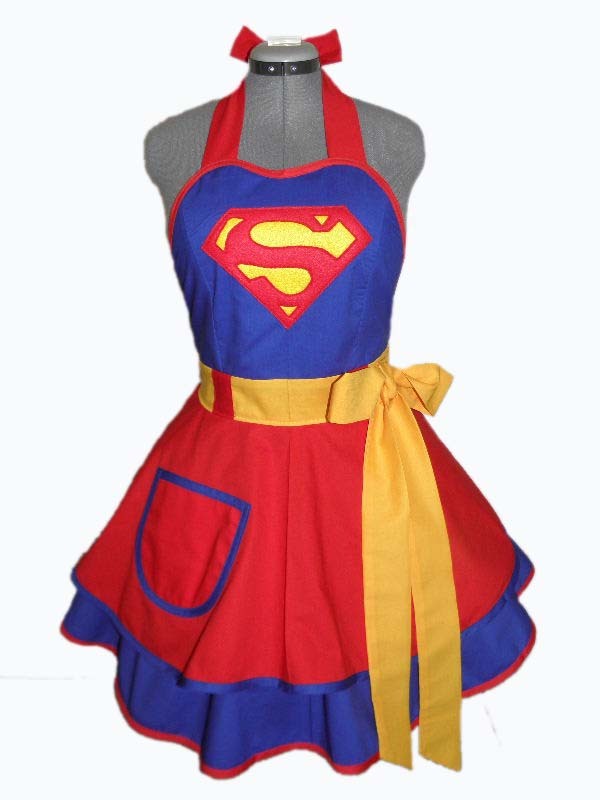 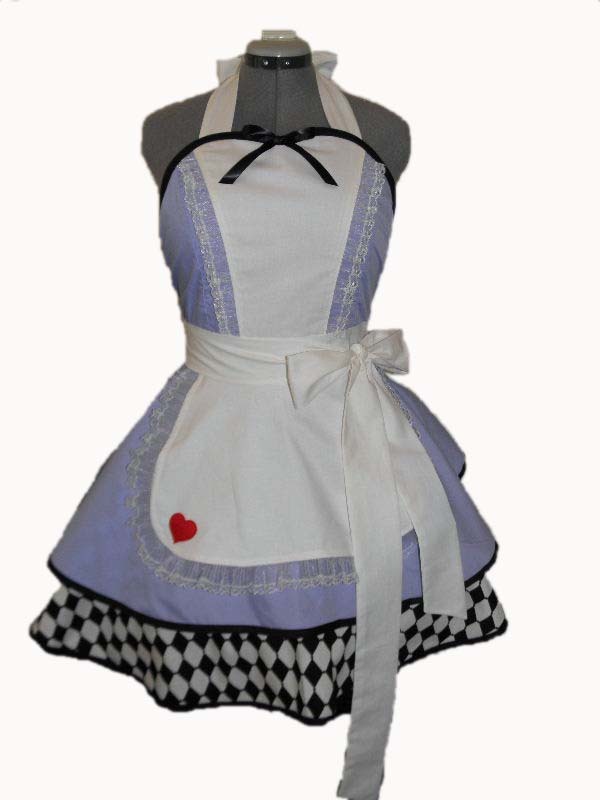 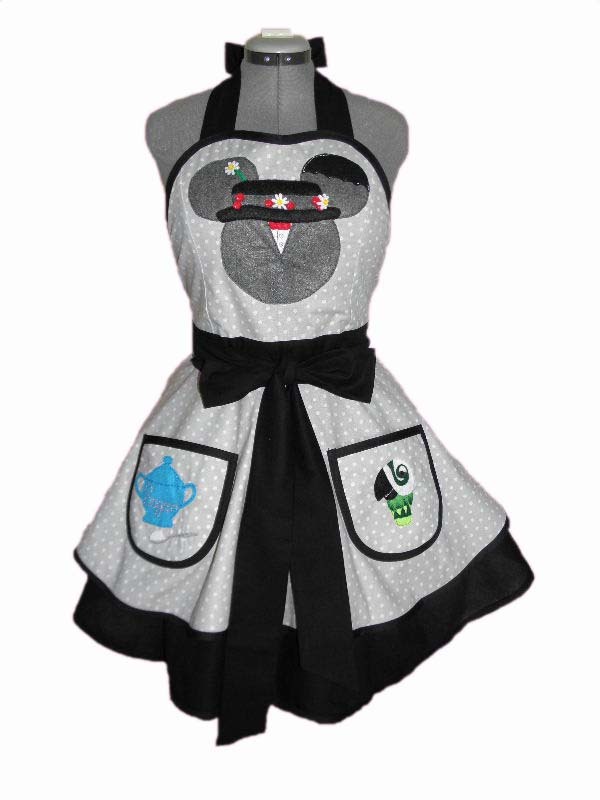 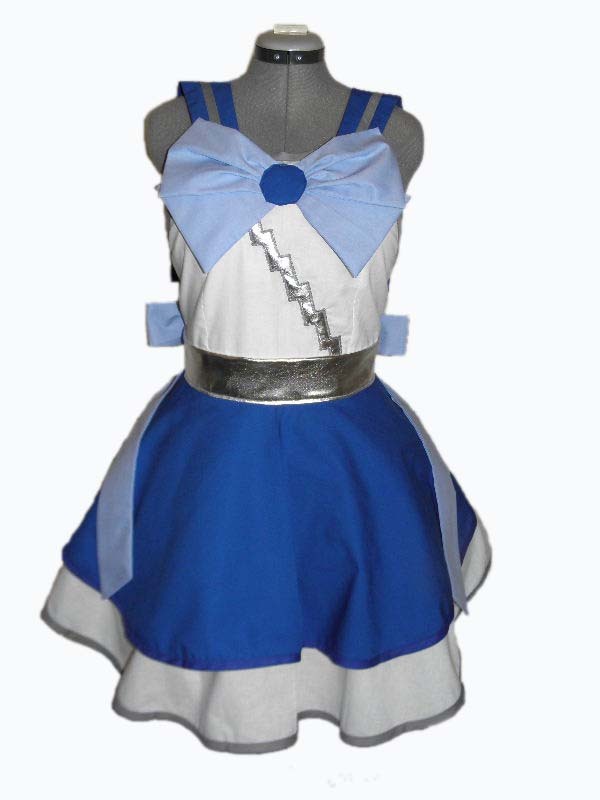 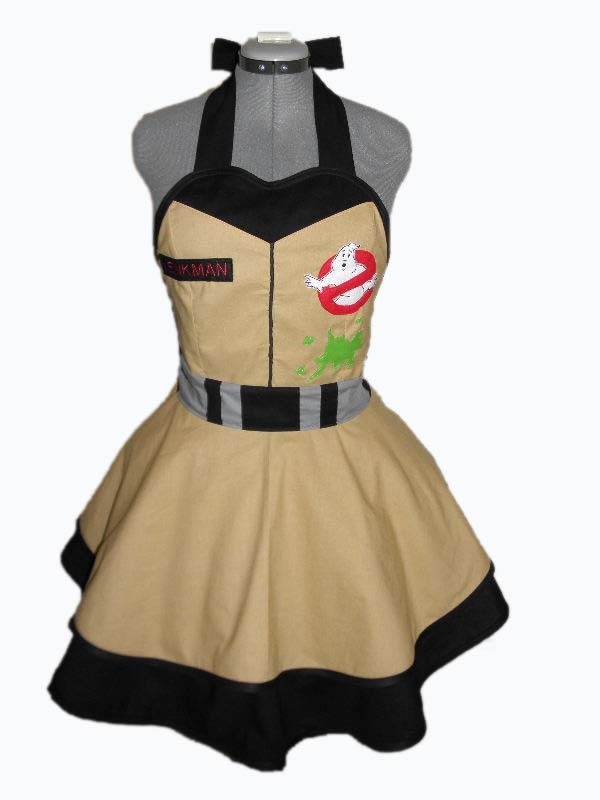 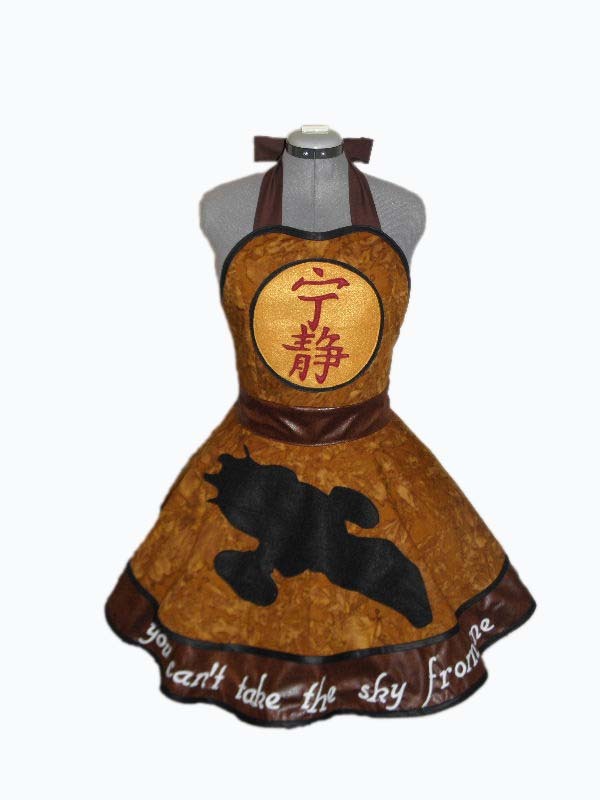 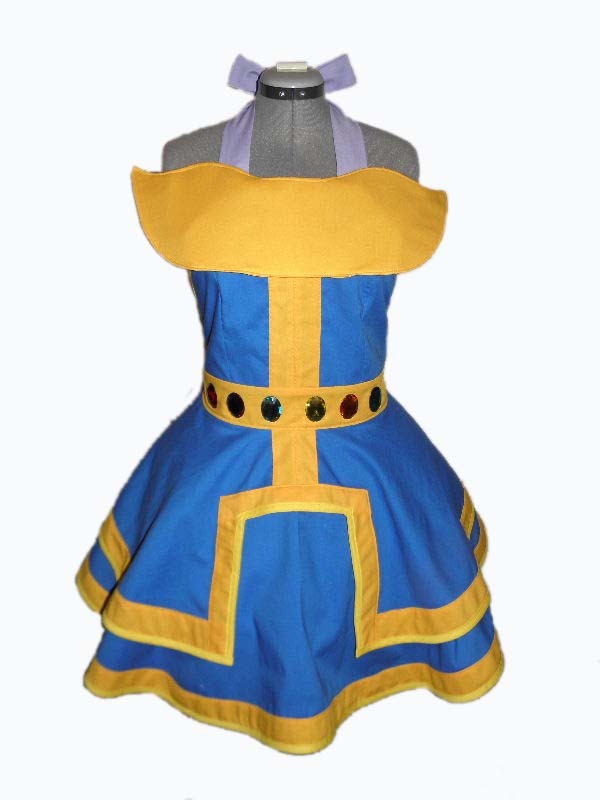 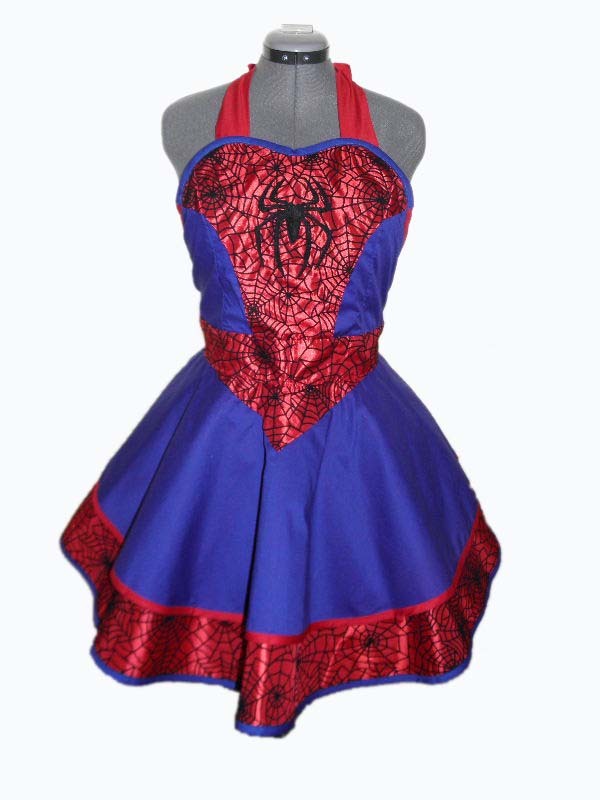 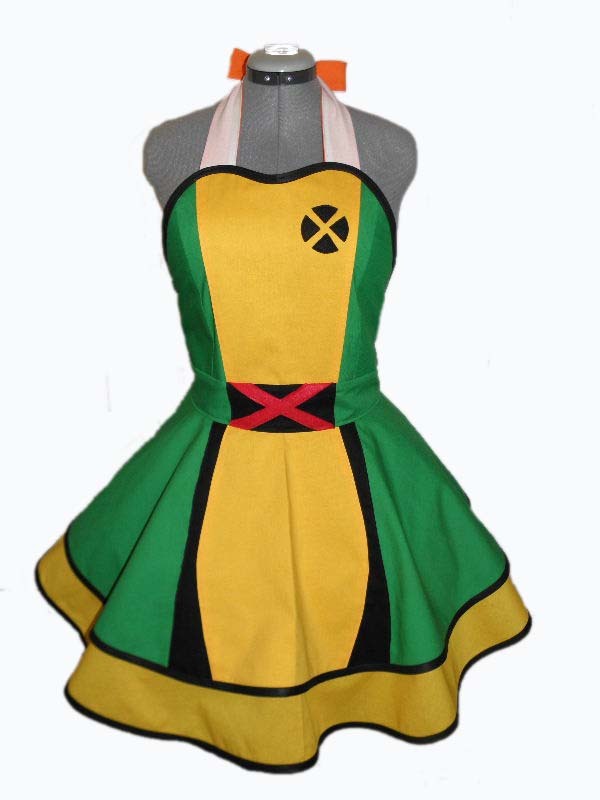 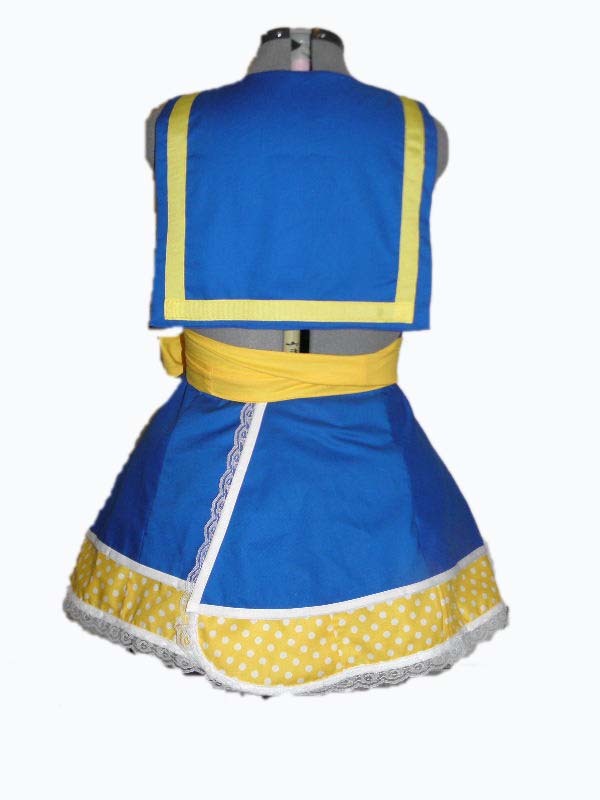 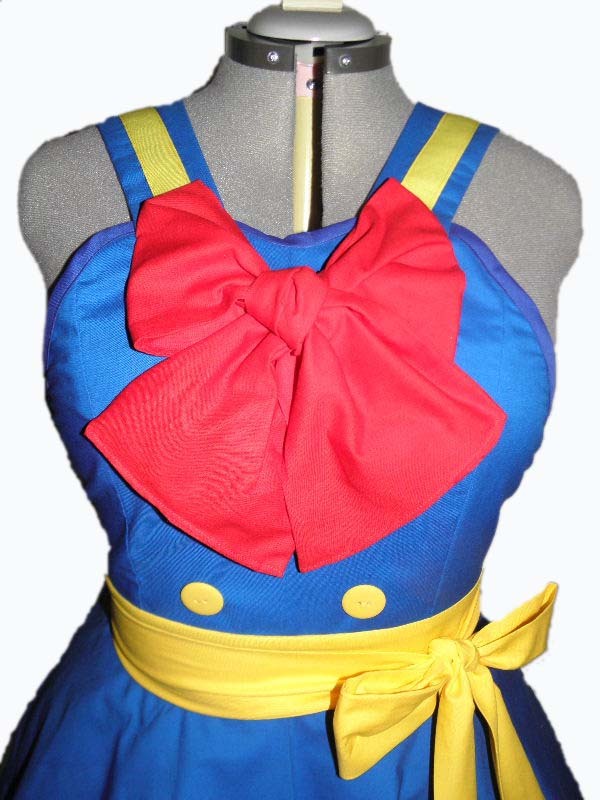 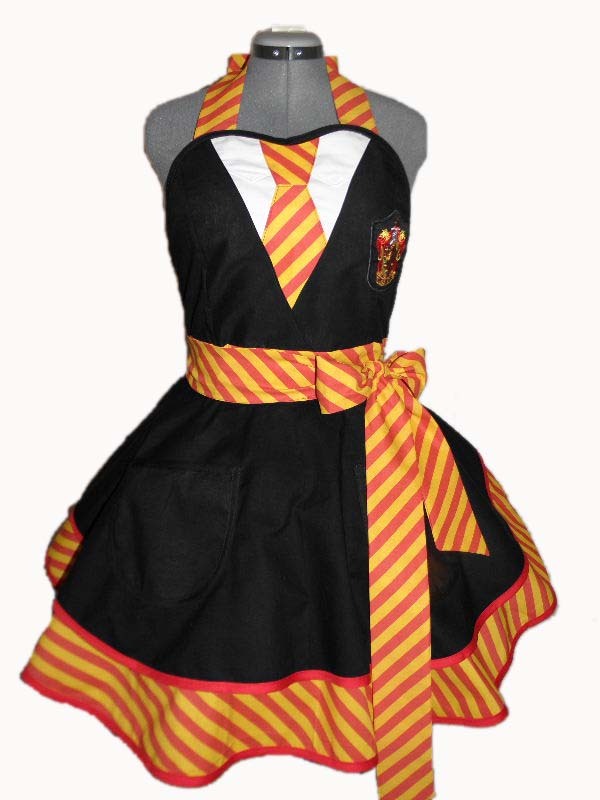 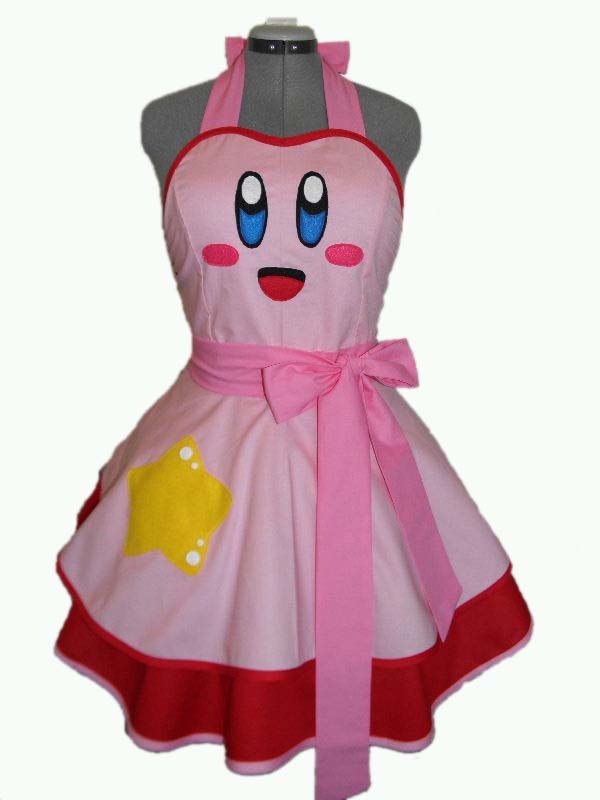 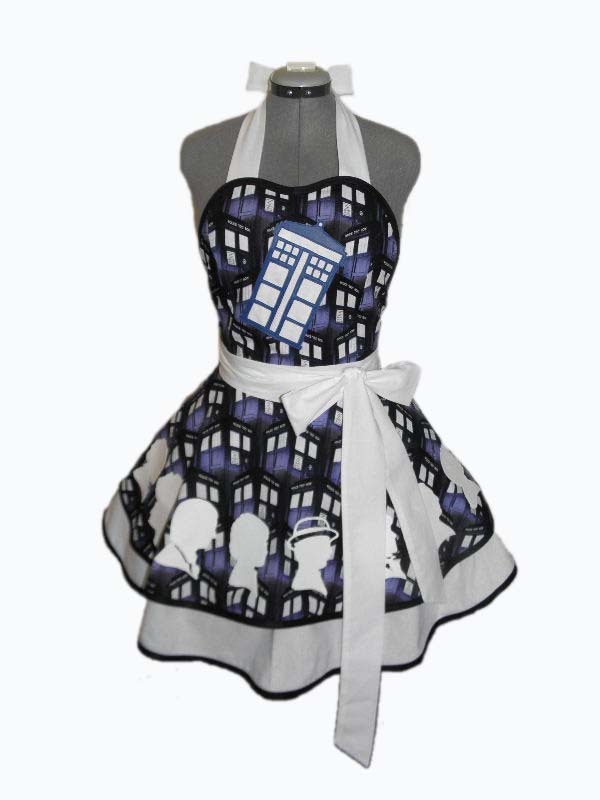 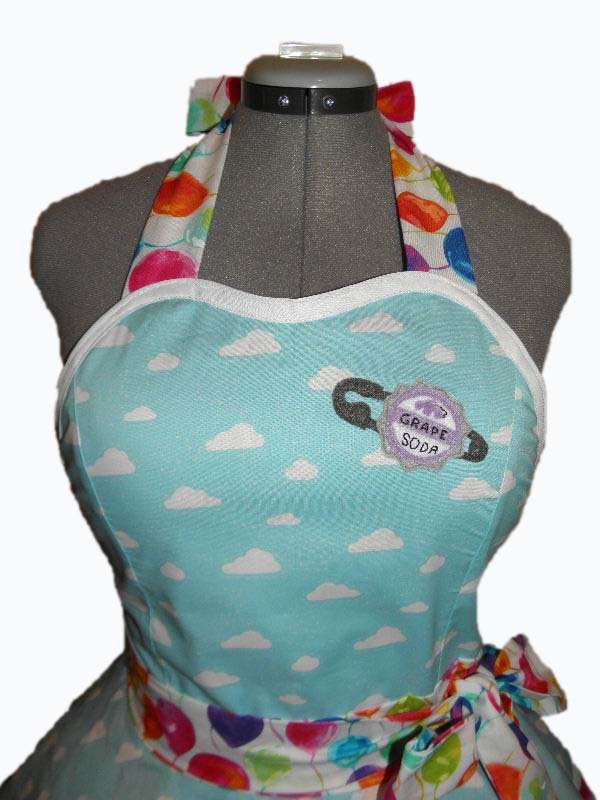 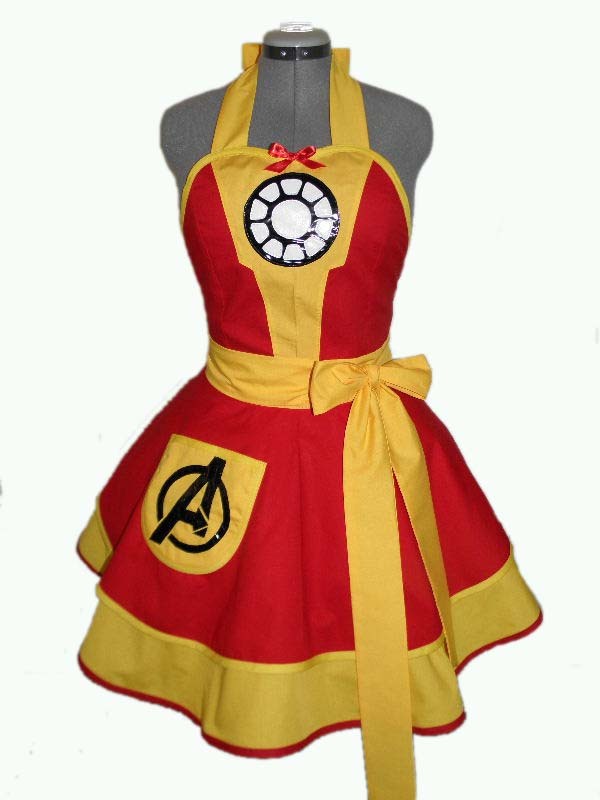 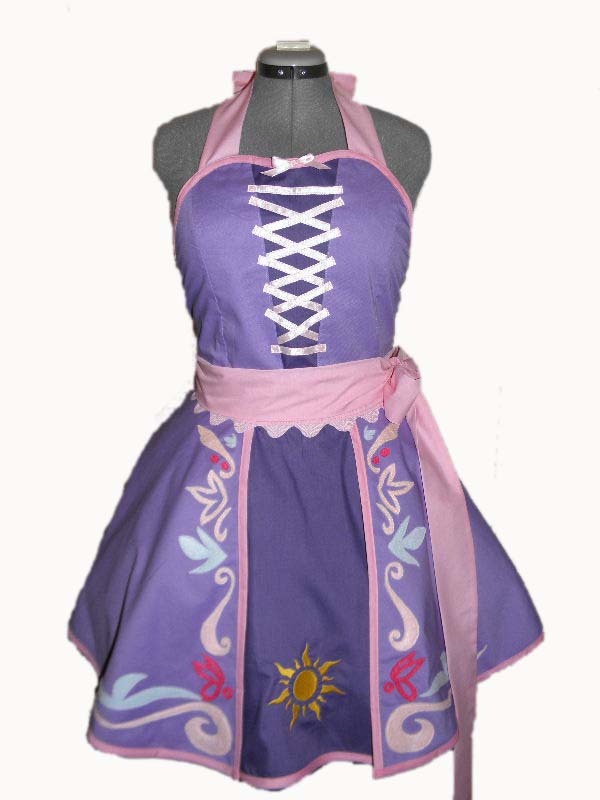 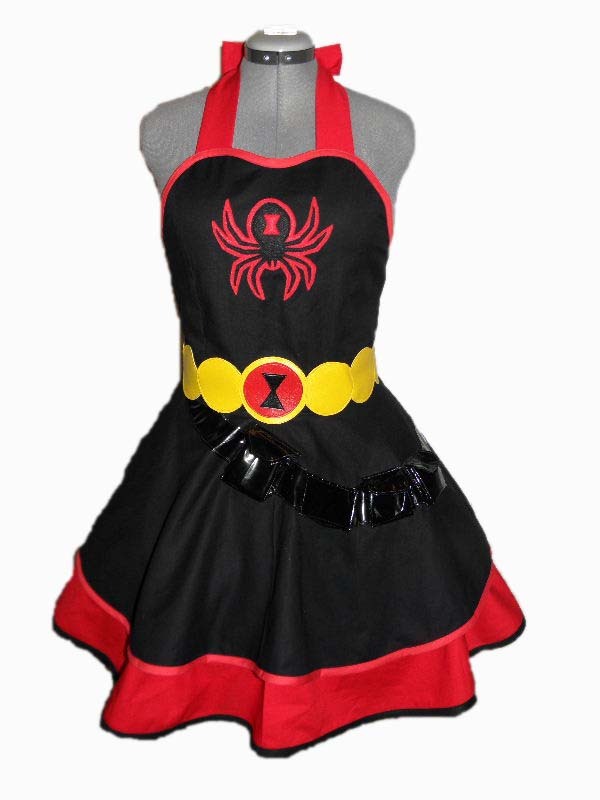 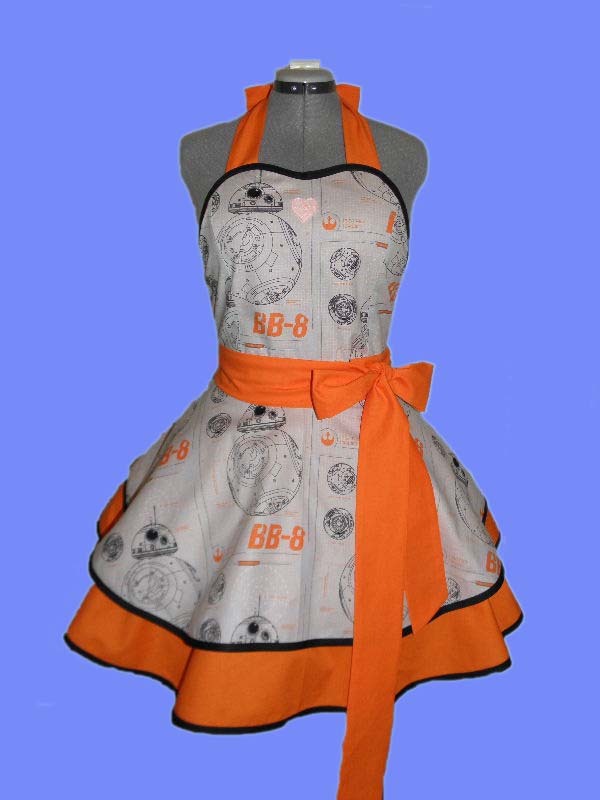 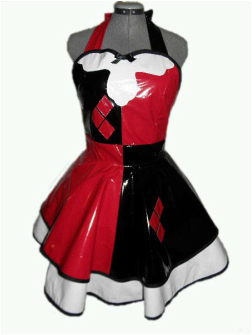 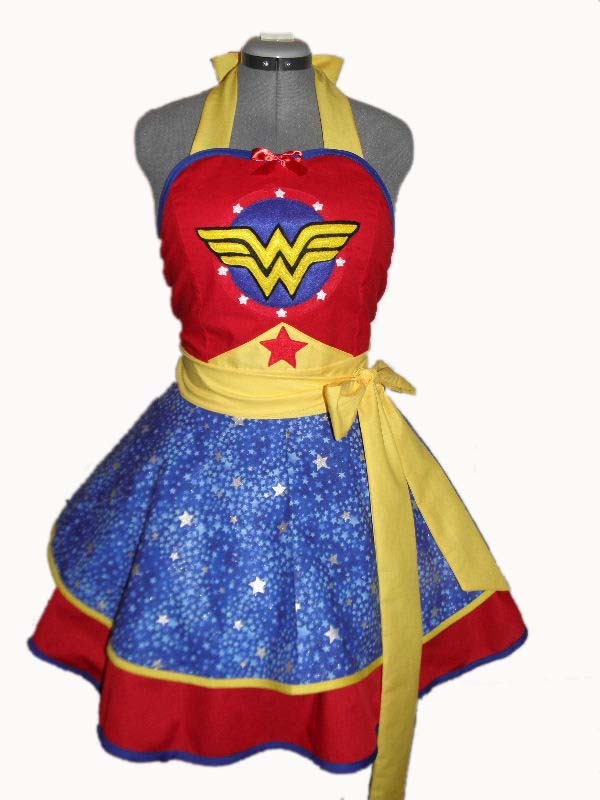 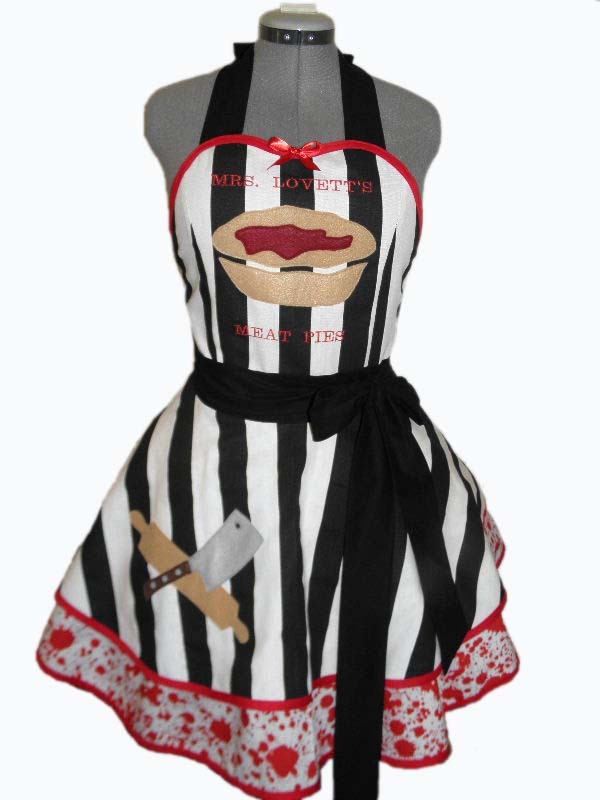 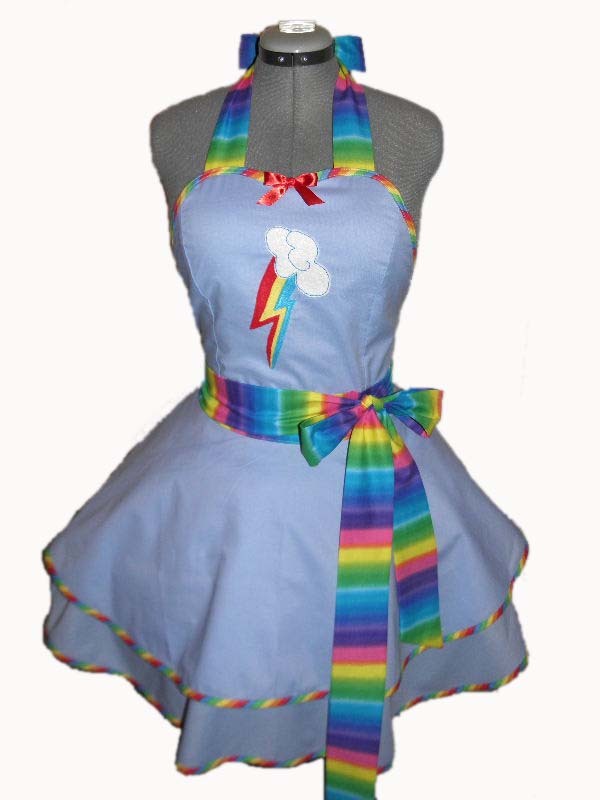 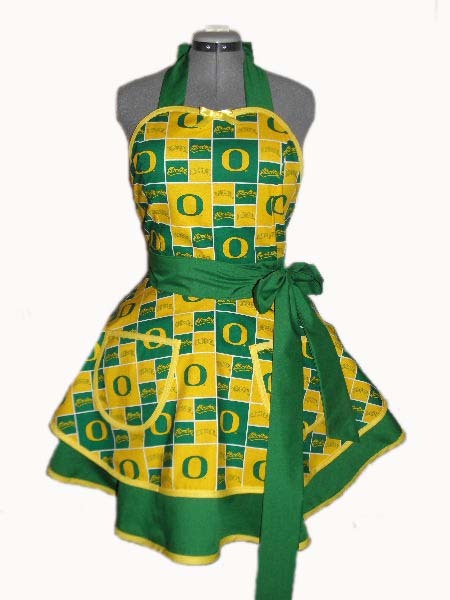 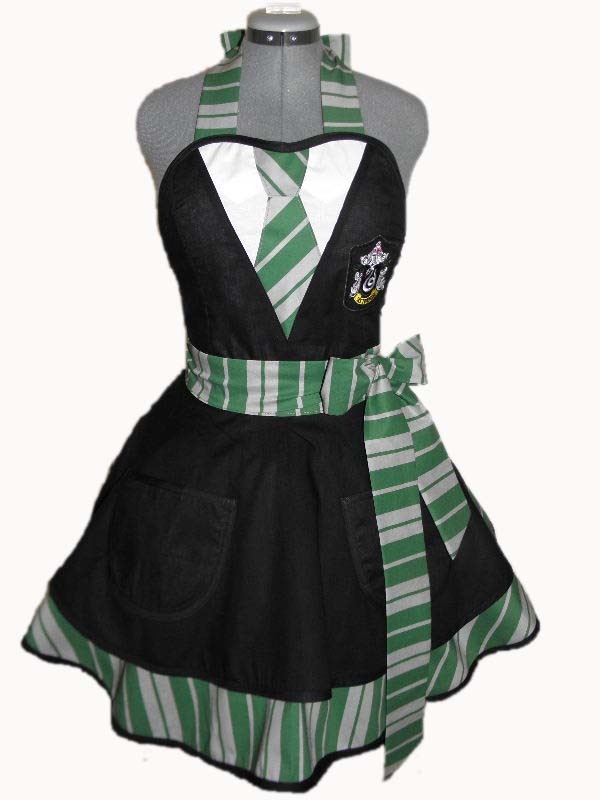 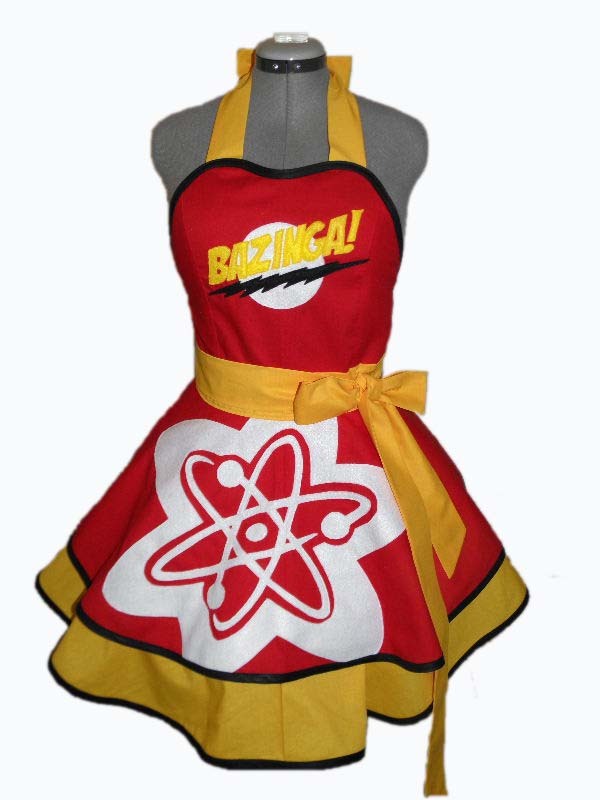 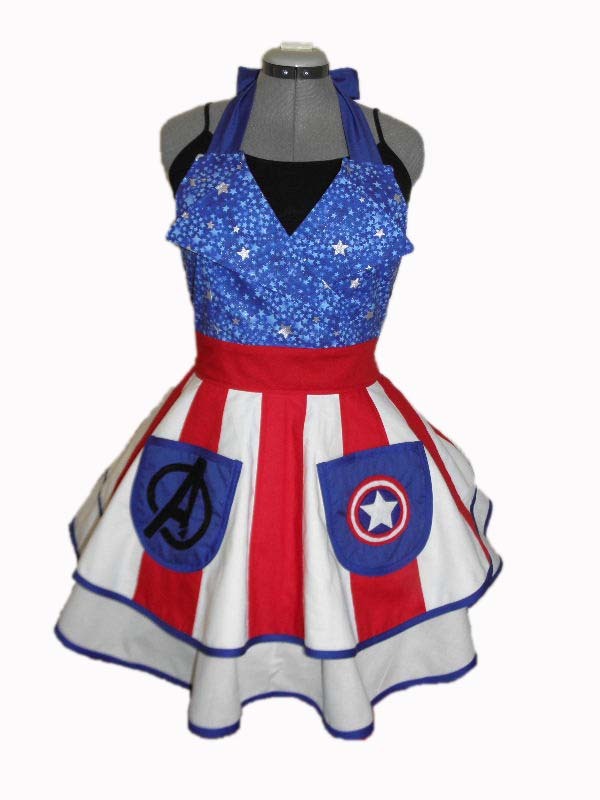 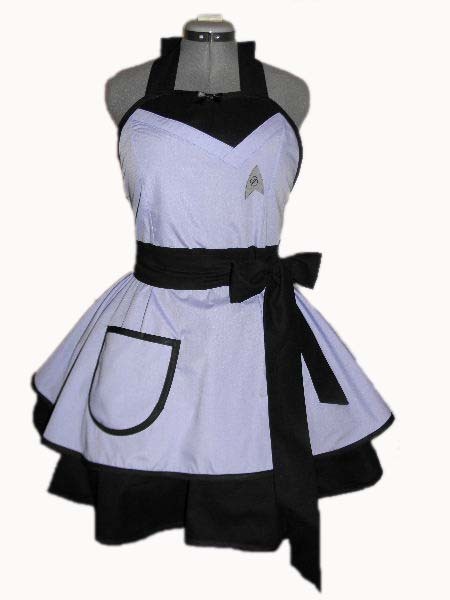 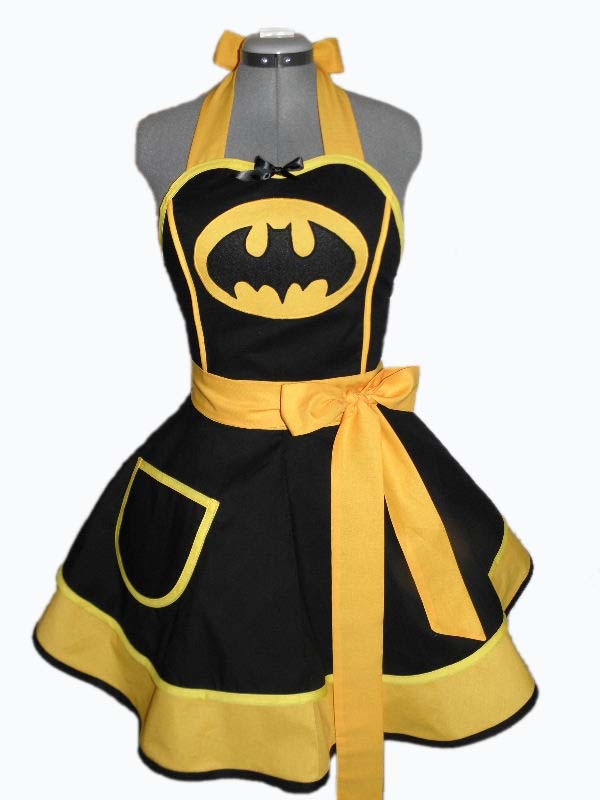 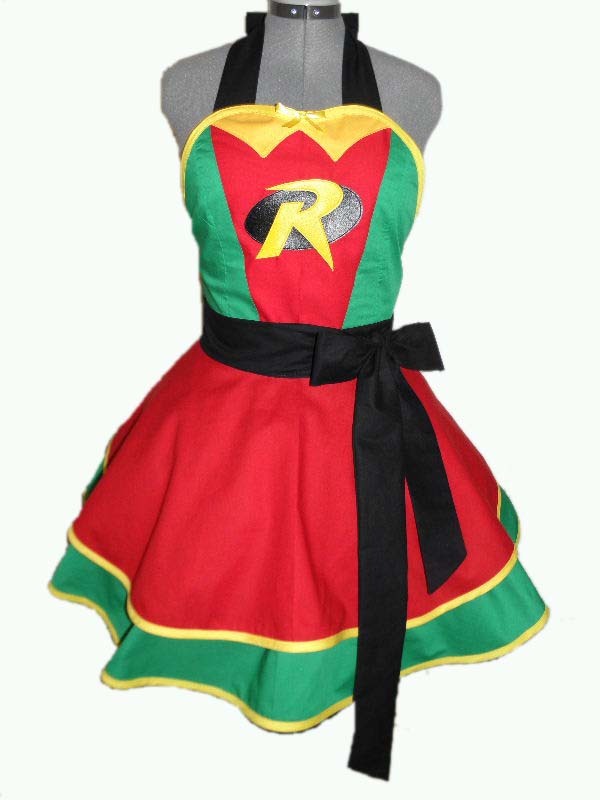 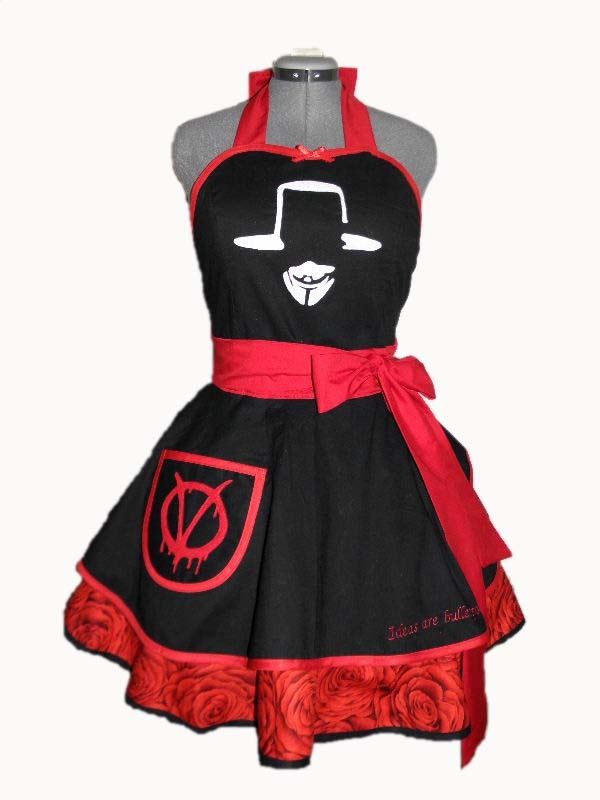 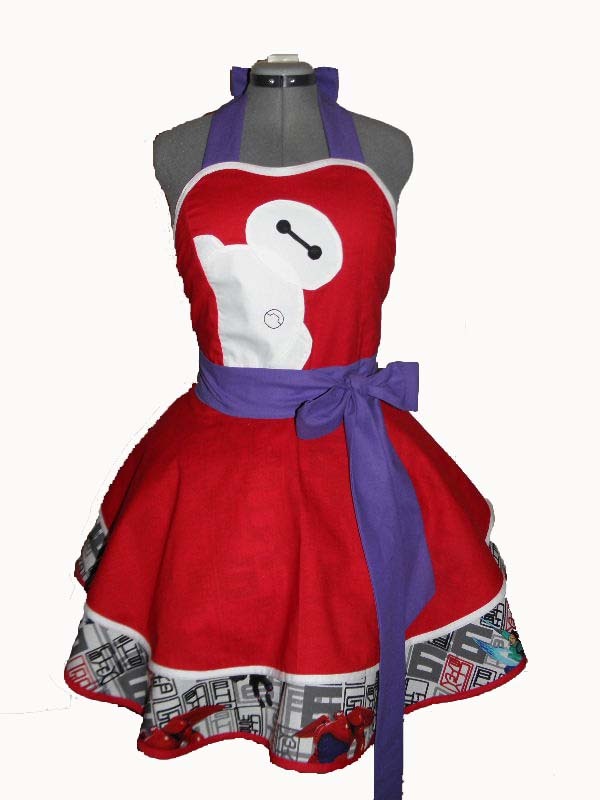 Our gorgeous retro aprons are the perfect thing for cosplay, cooking at home, or anything you can think of. 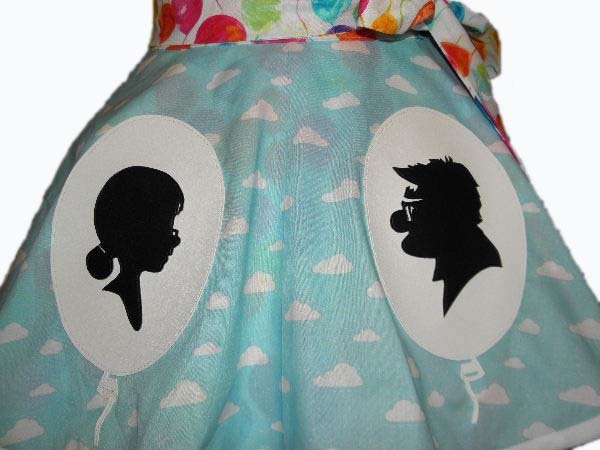 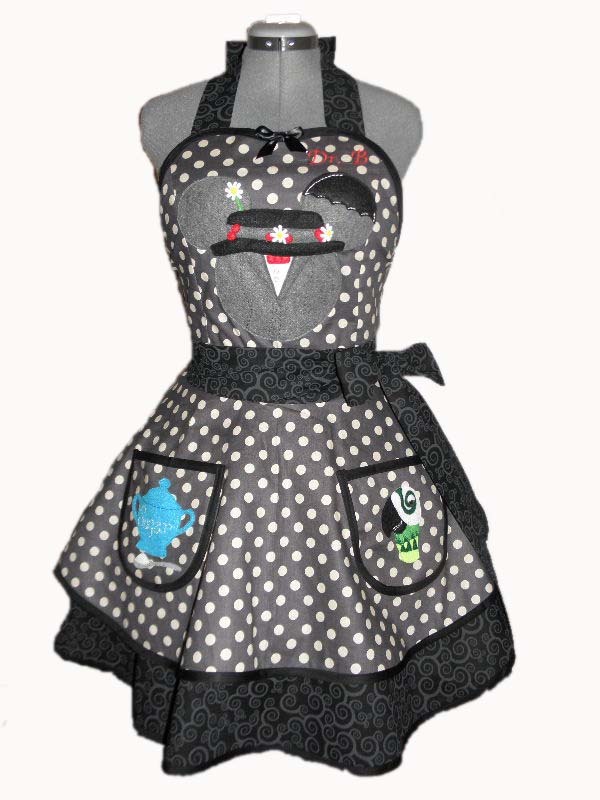 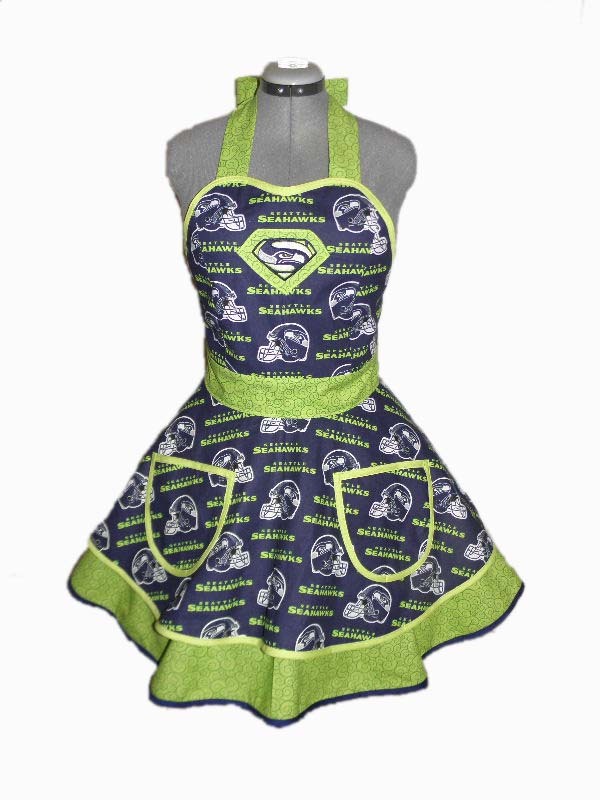 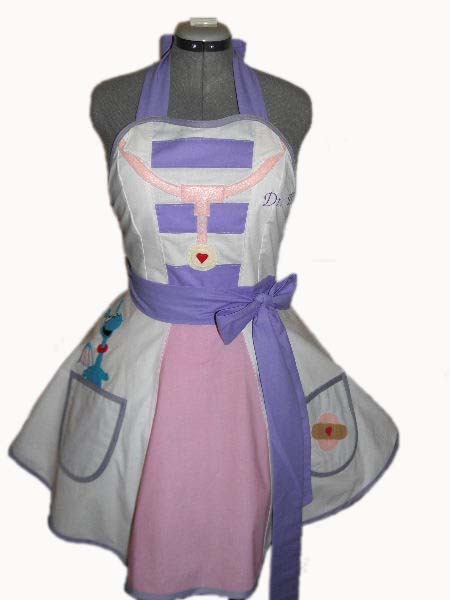 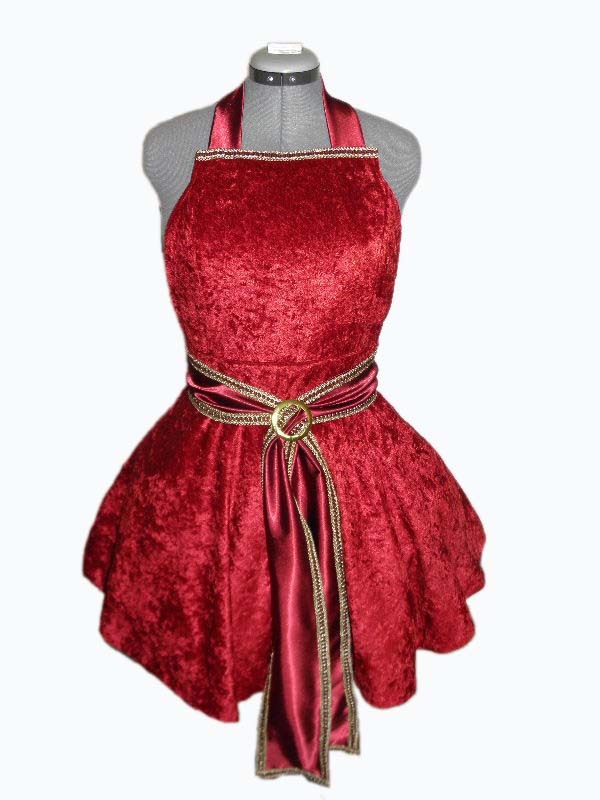 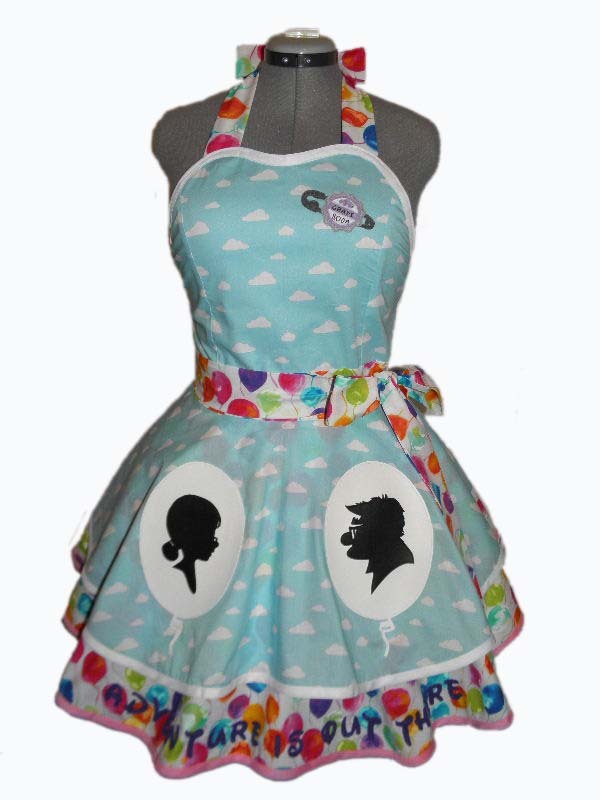 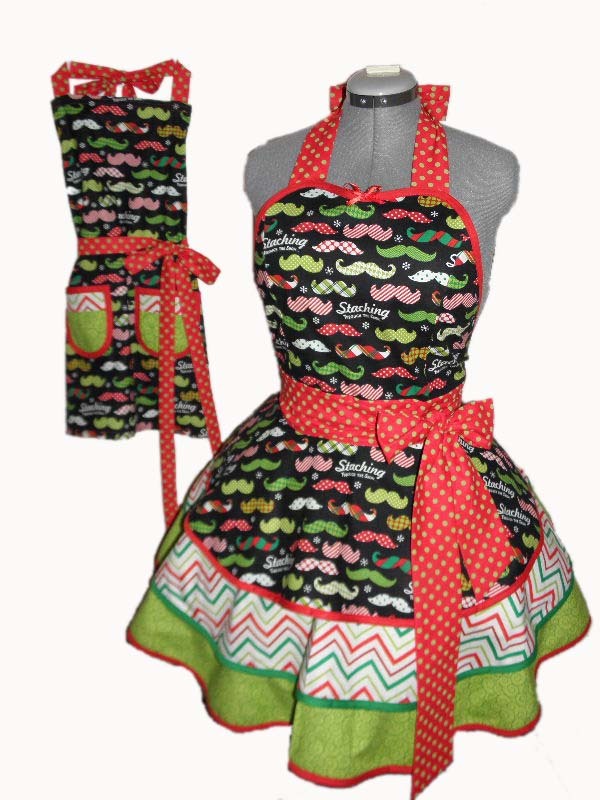 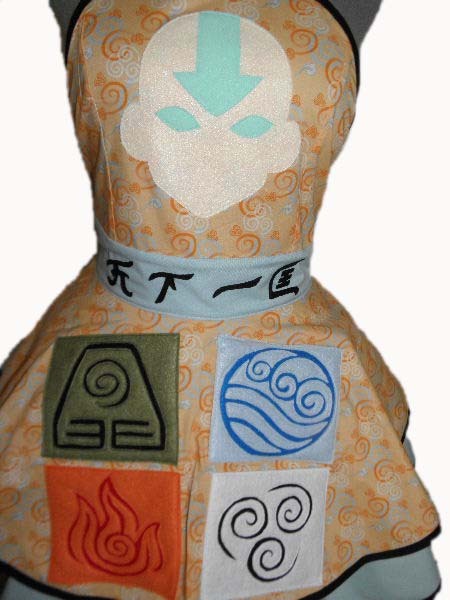 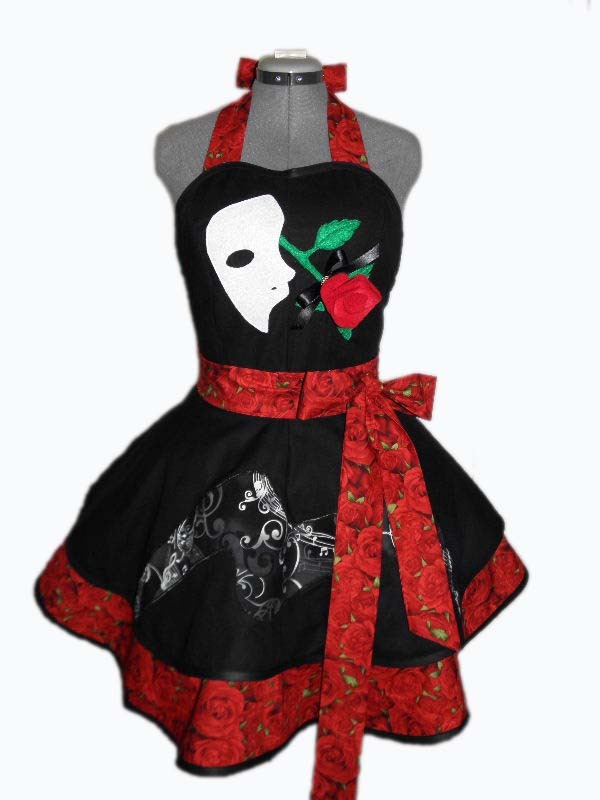 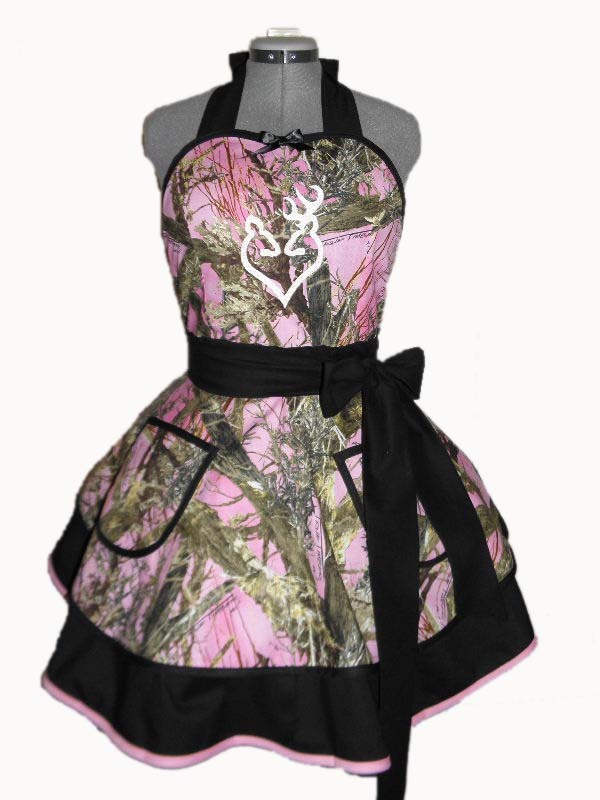 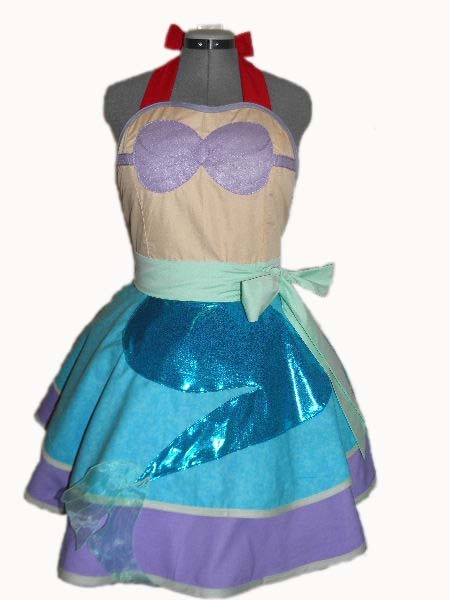 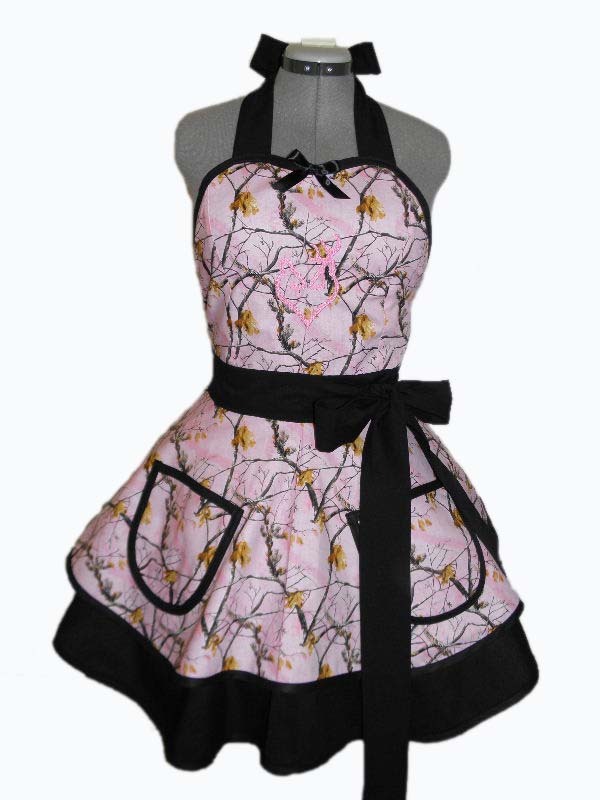 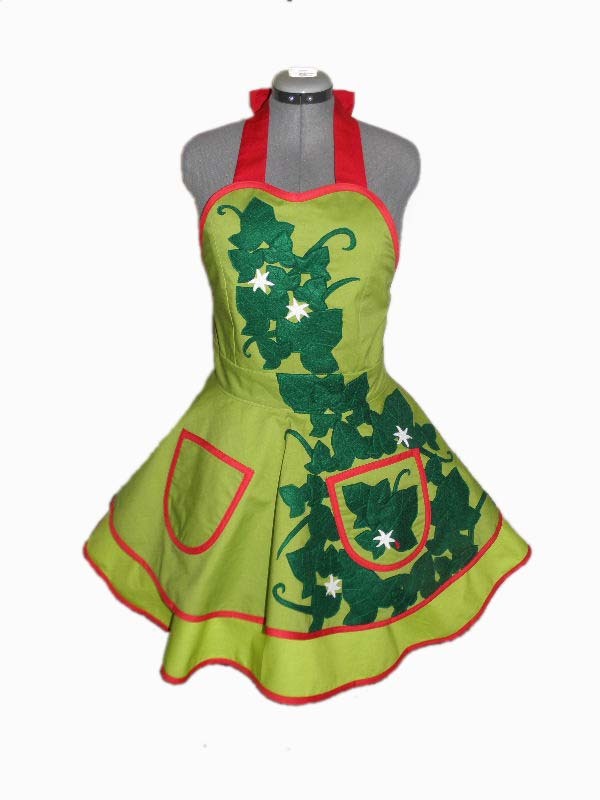 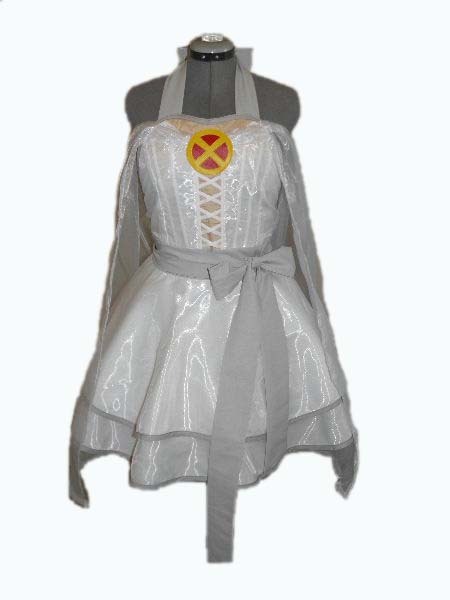 Made of high quality cottons, hand made appliques, and the very best fabrics, these aprons are designed to fit a variety of figures. 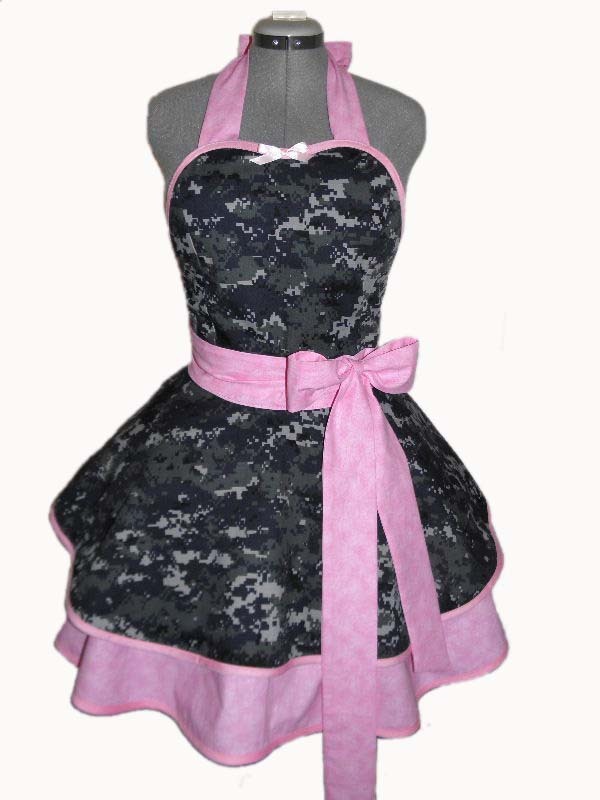 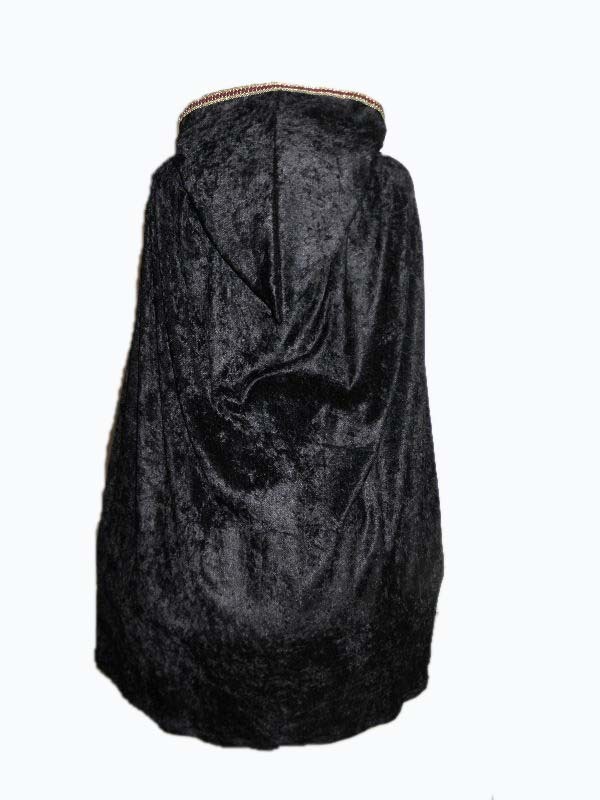 The apron ties equal a generous 150 inches, and the lower skirt drops 15" from the waist. 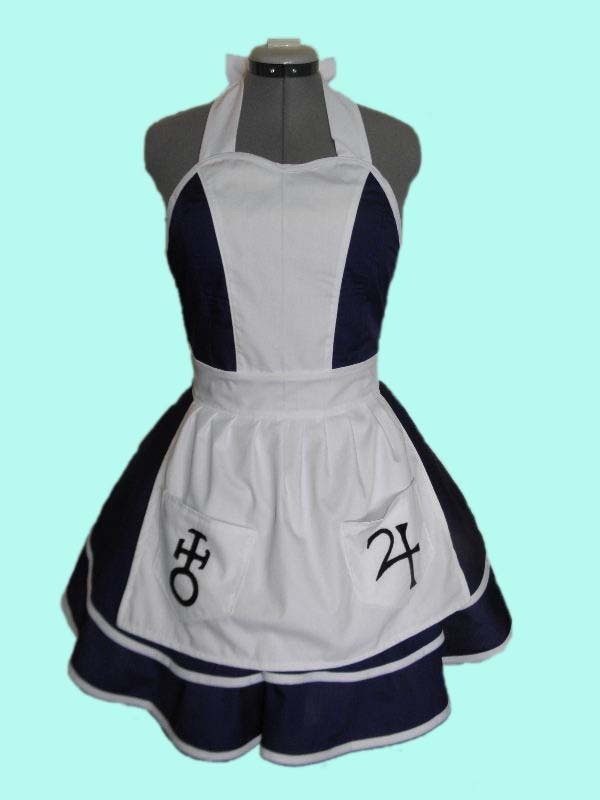 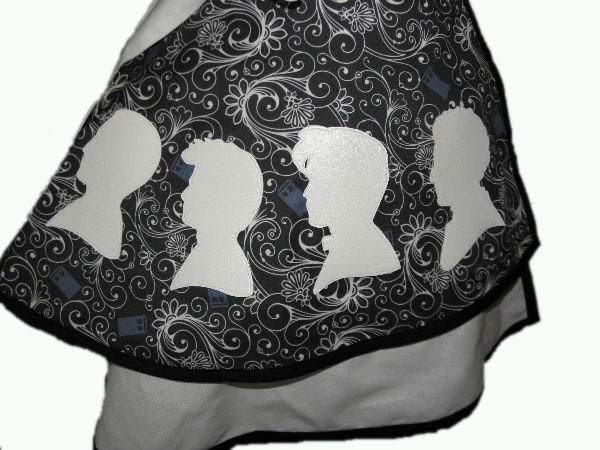 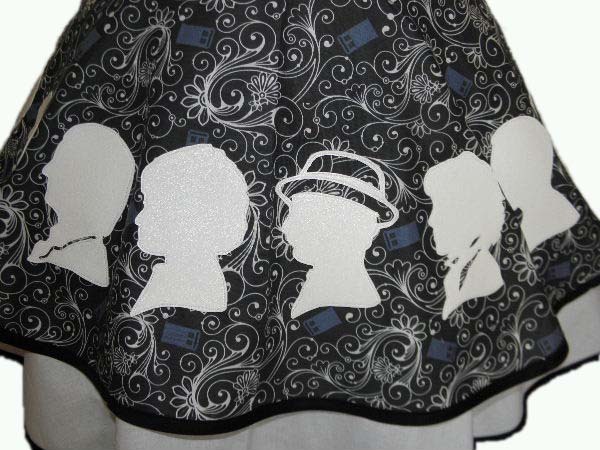 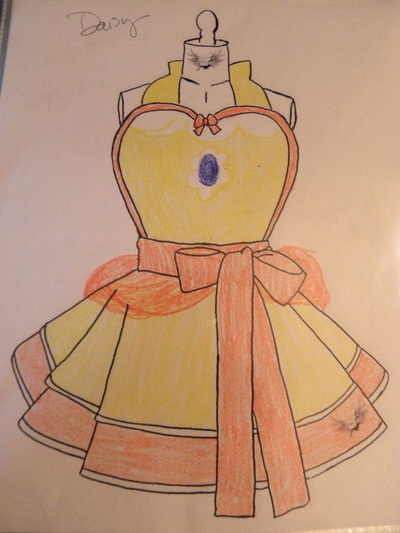 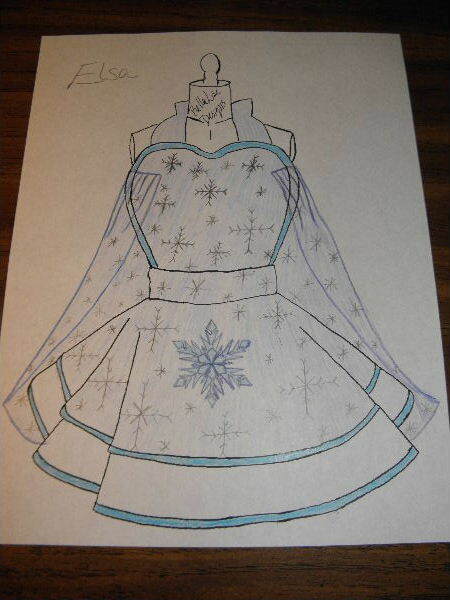 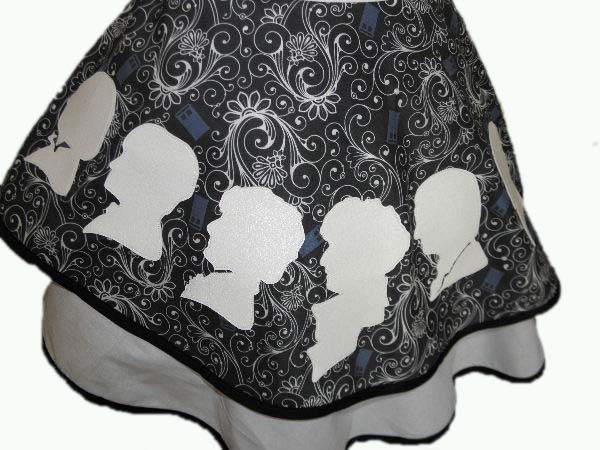 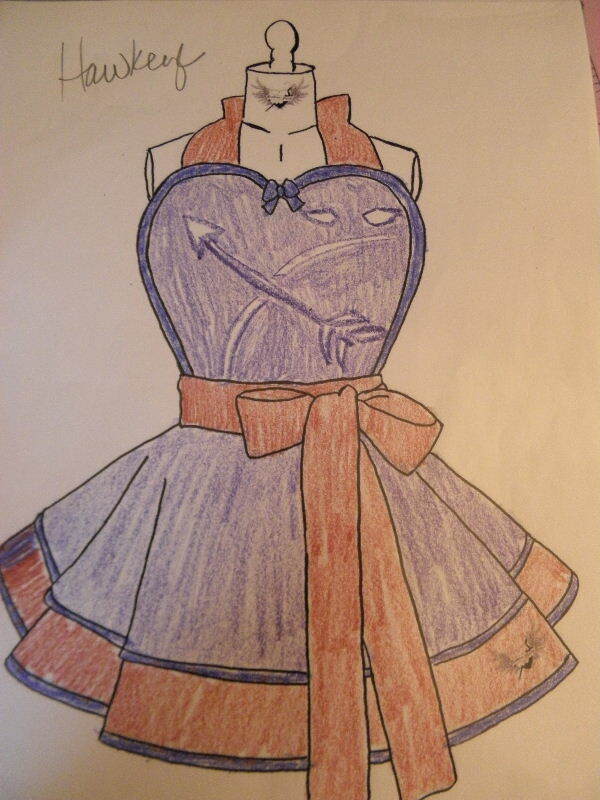 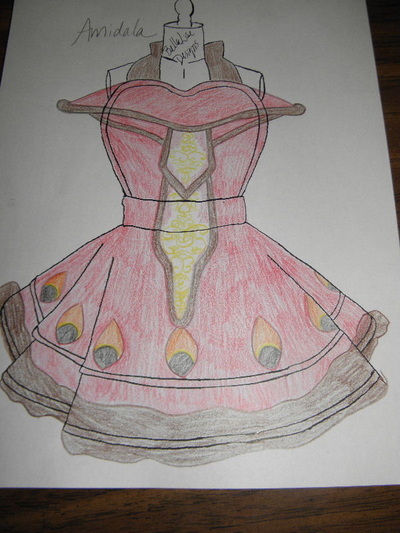 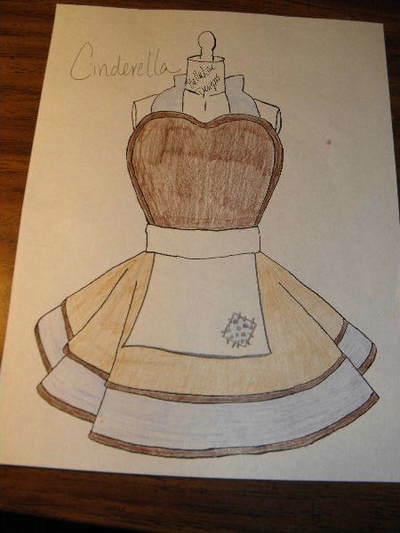 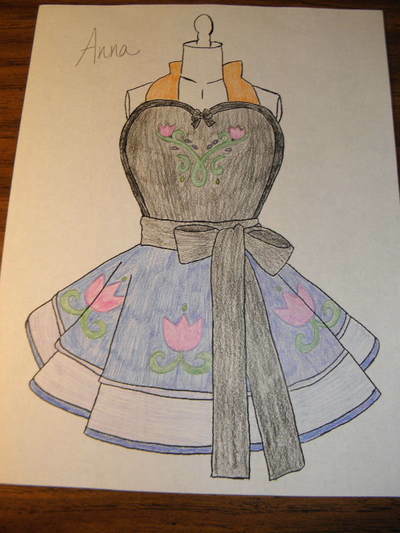 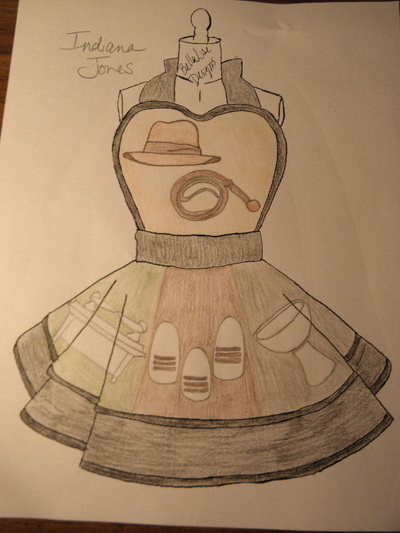 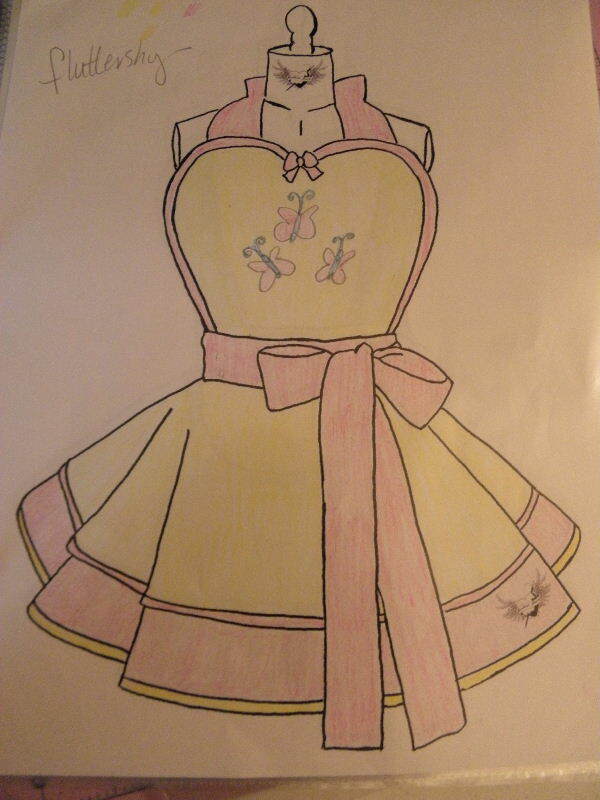 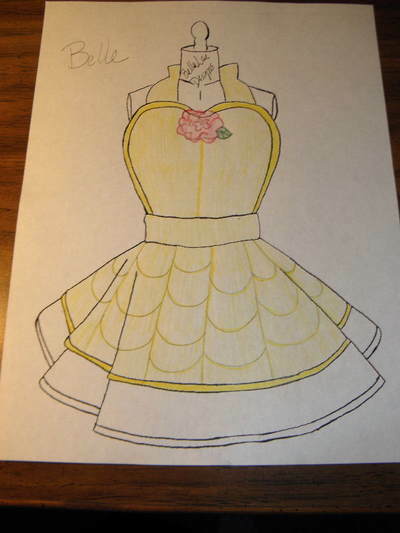 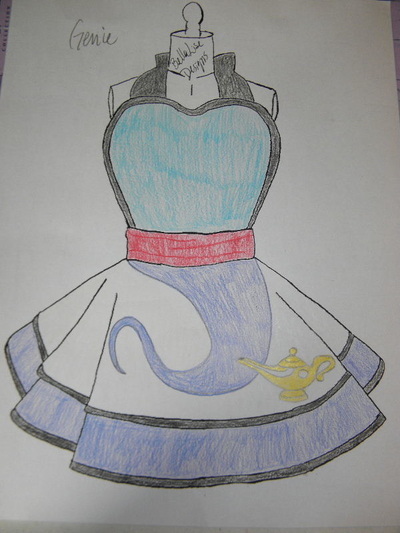 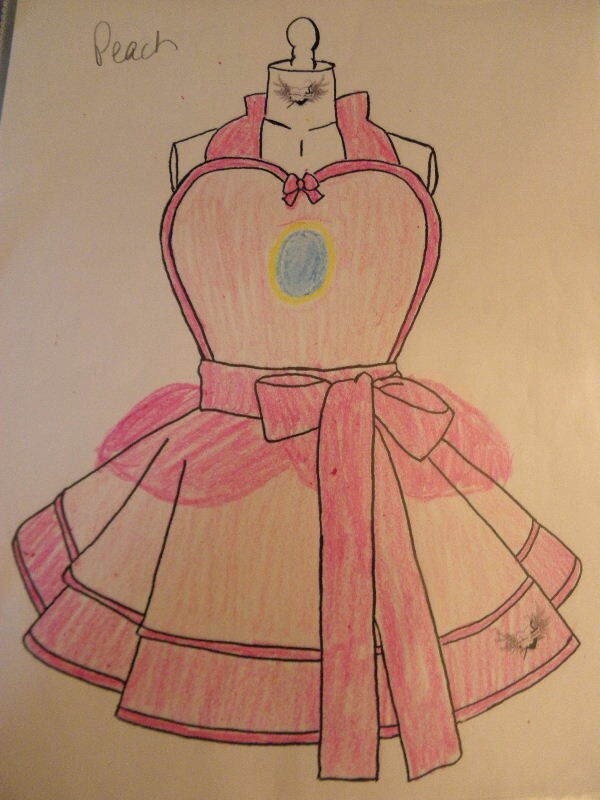 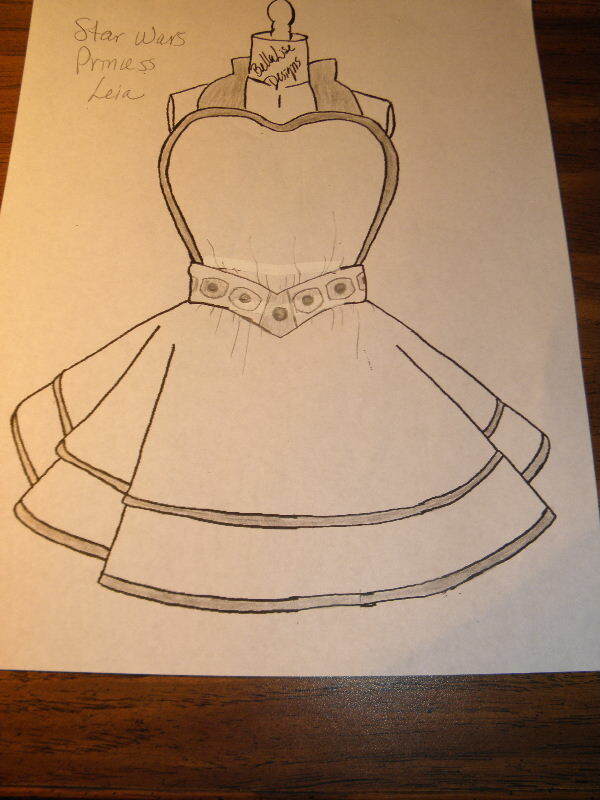 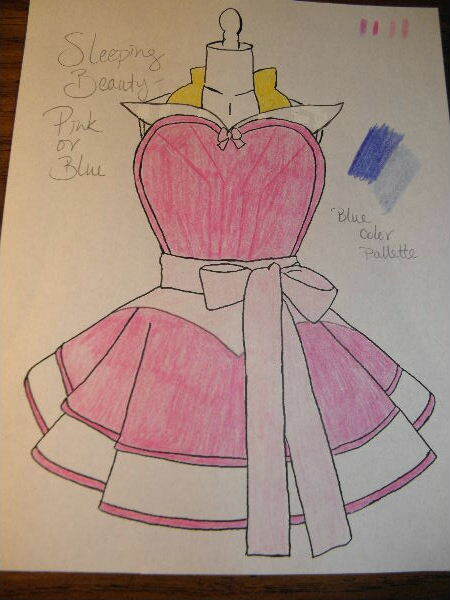 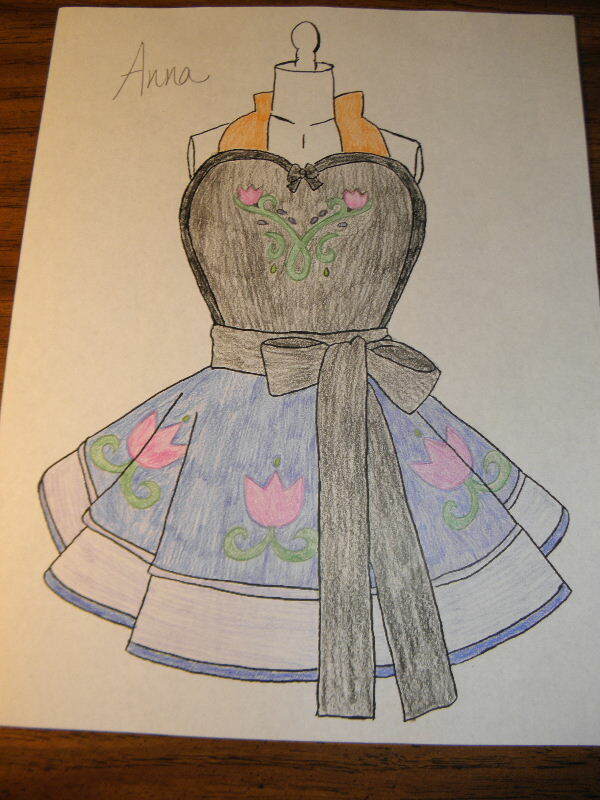 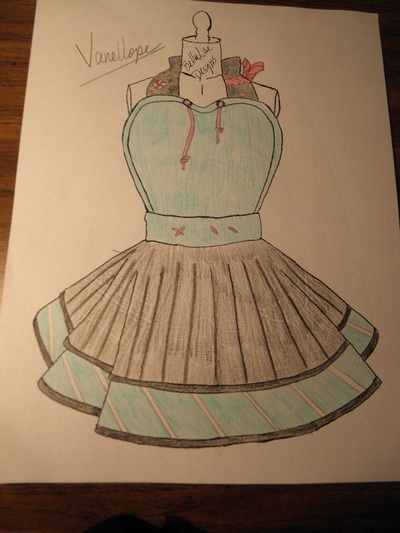 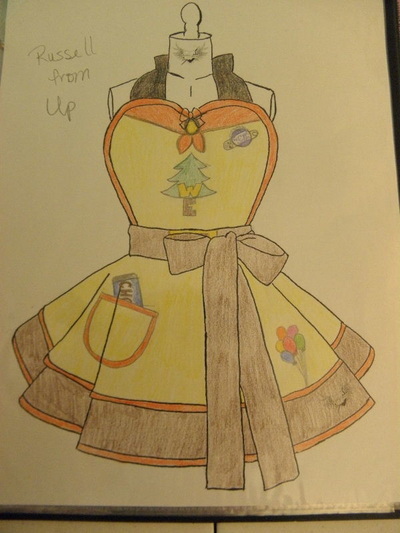 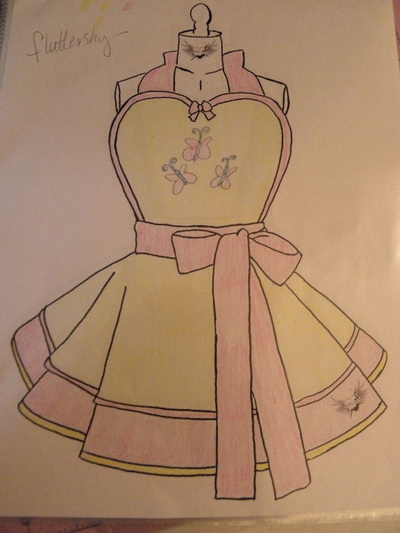 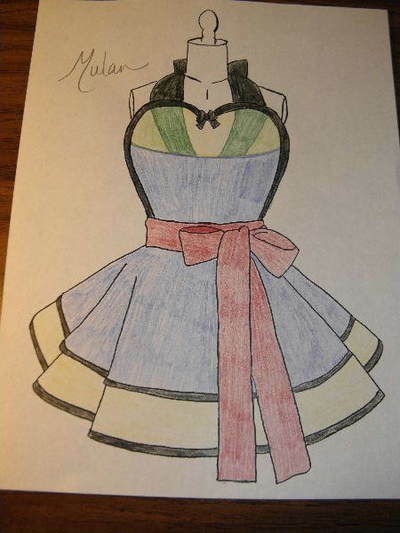 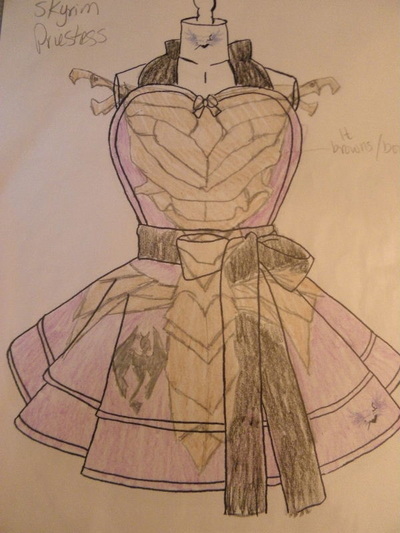 Each apron on this page is pictured with a petticoat to show the fullness of the skirts, but is not included with the apron. 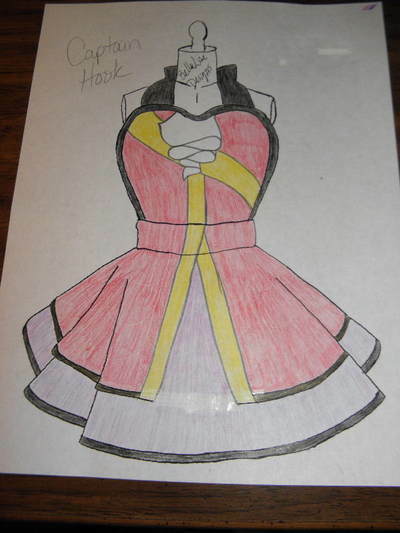 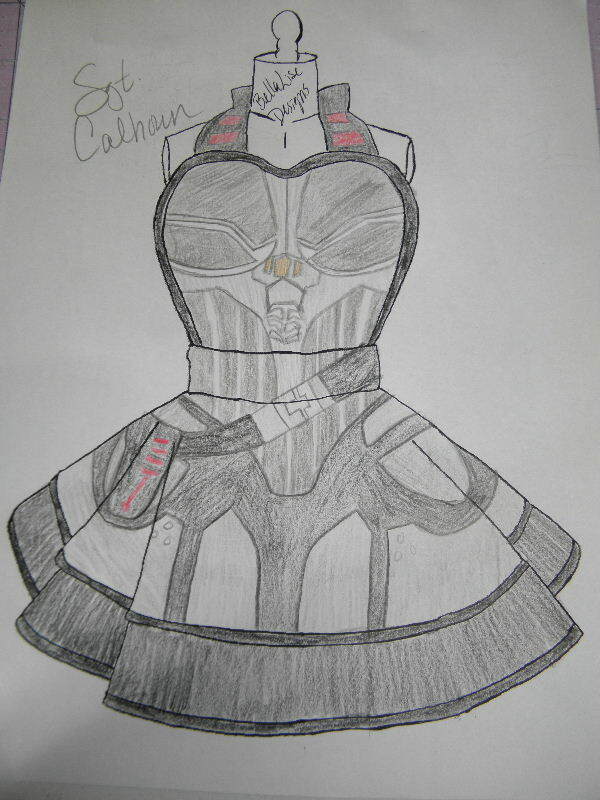 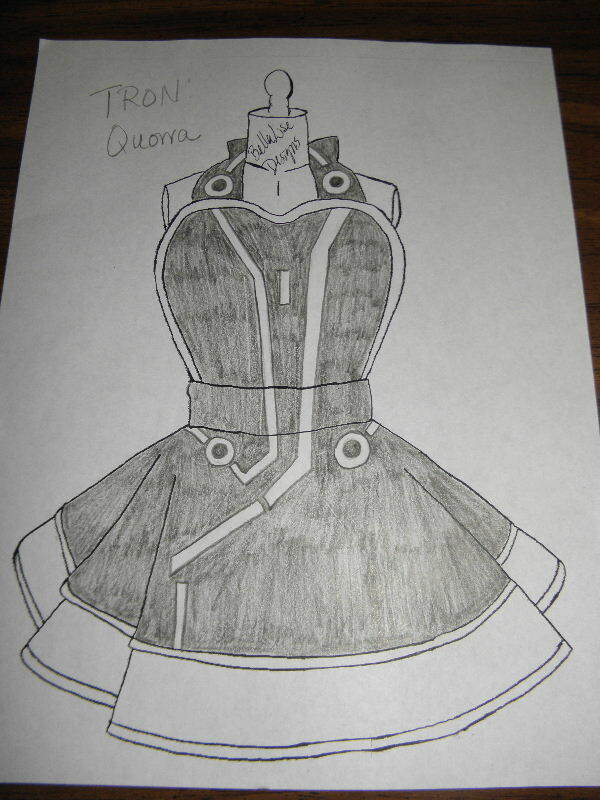 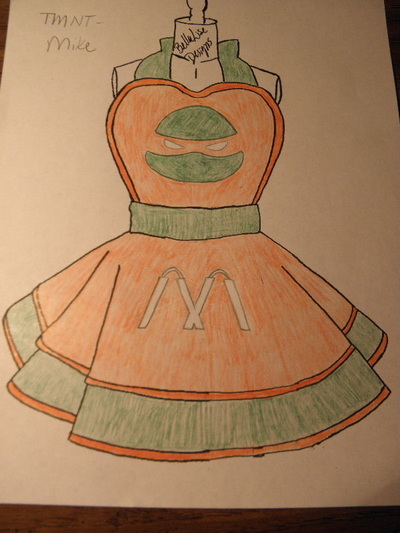 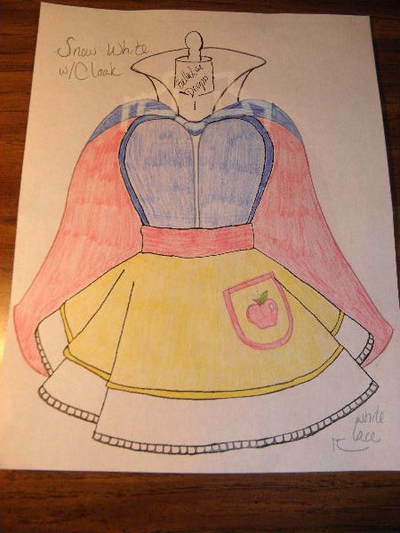 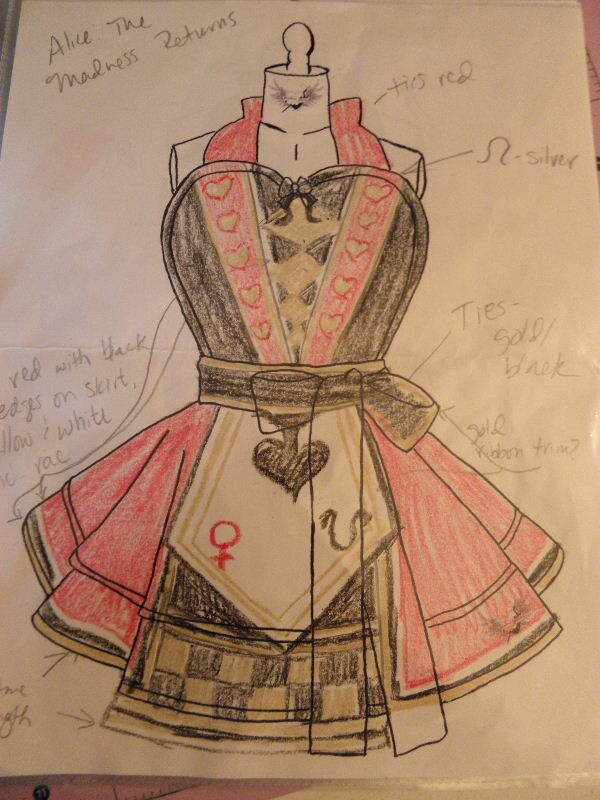 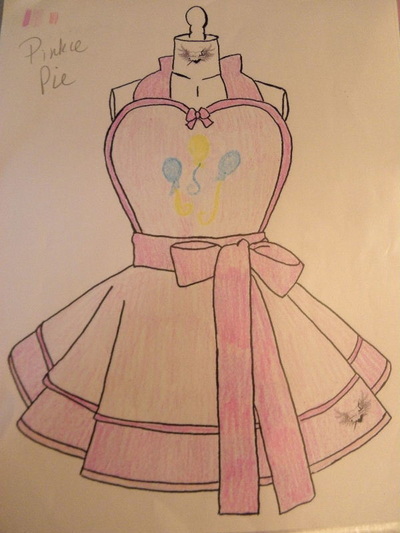 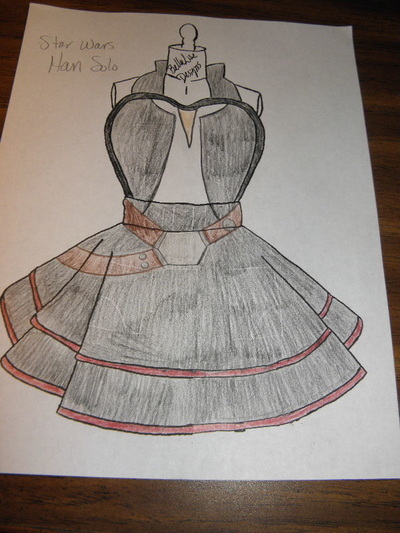 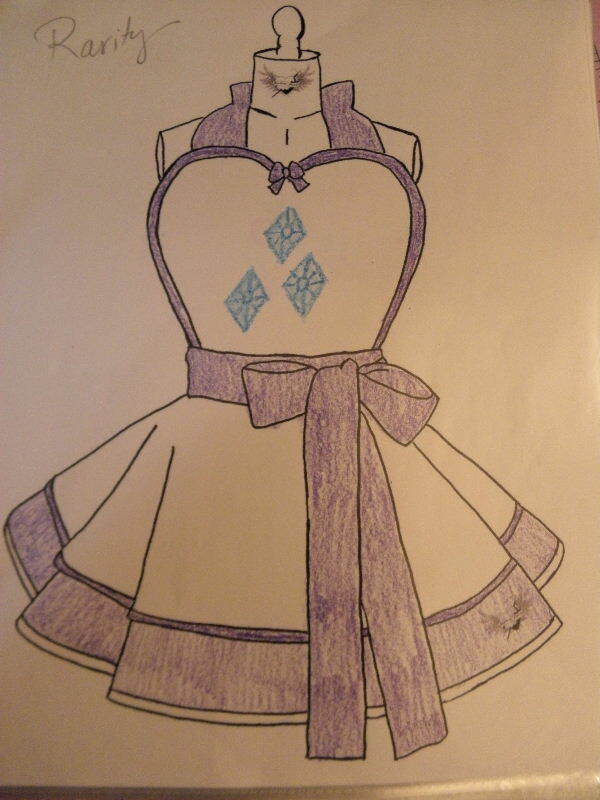 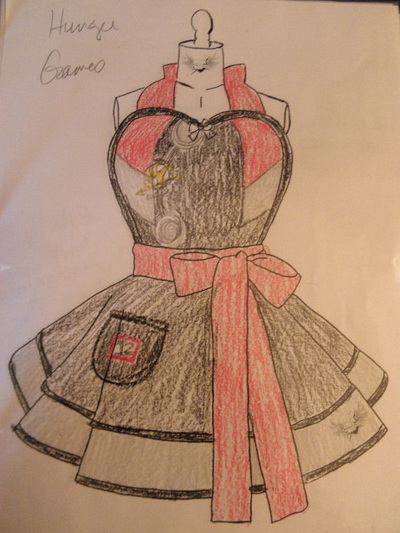 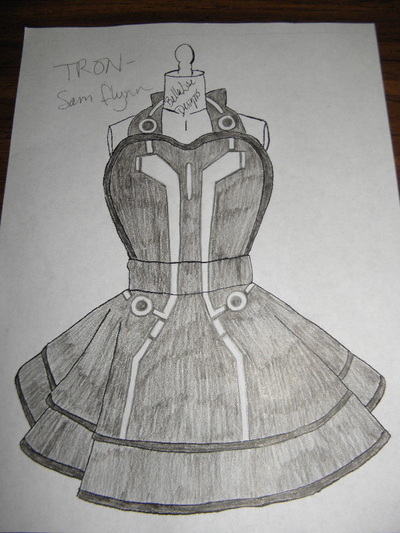 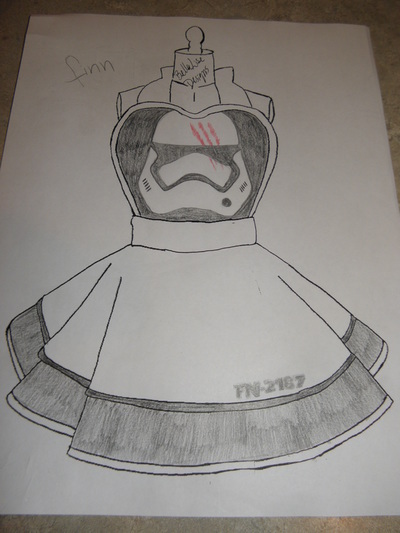 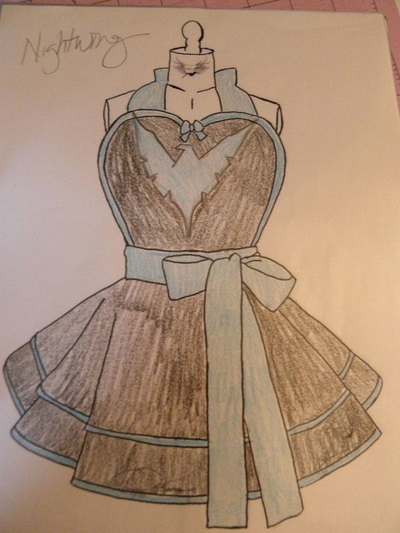 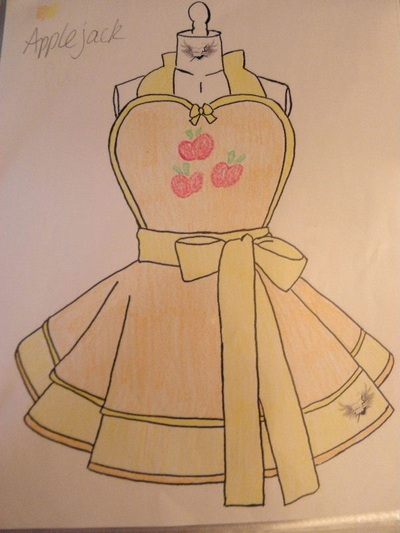 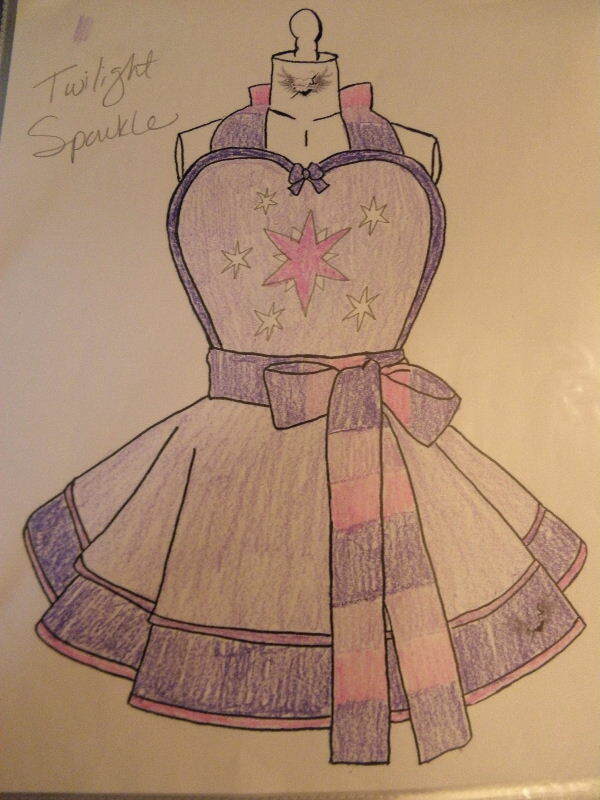 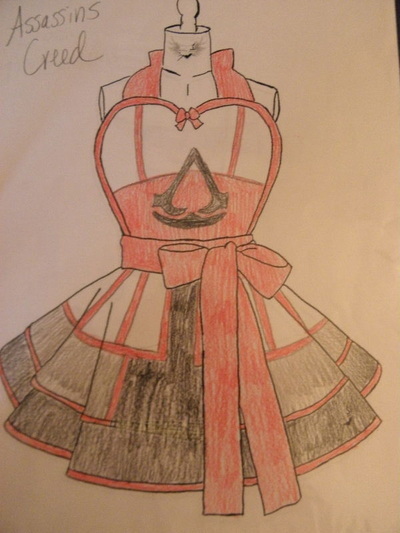 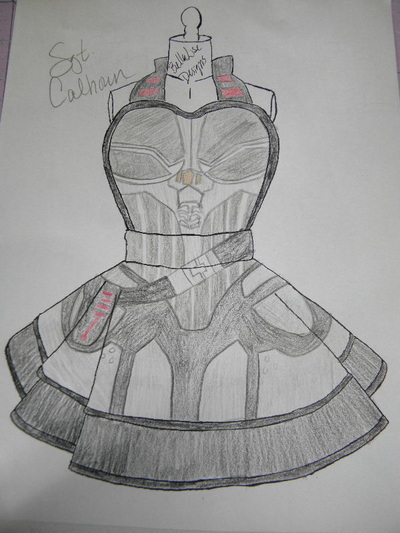 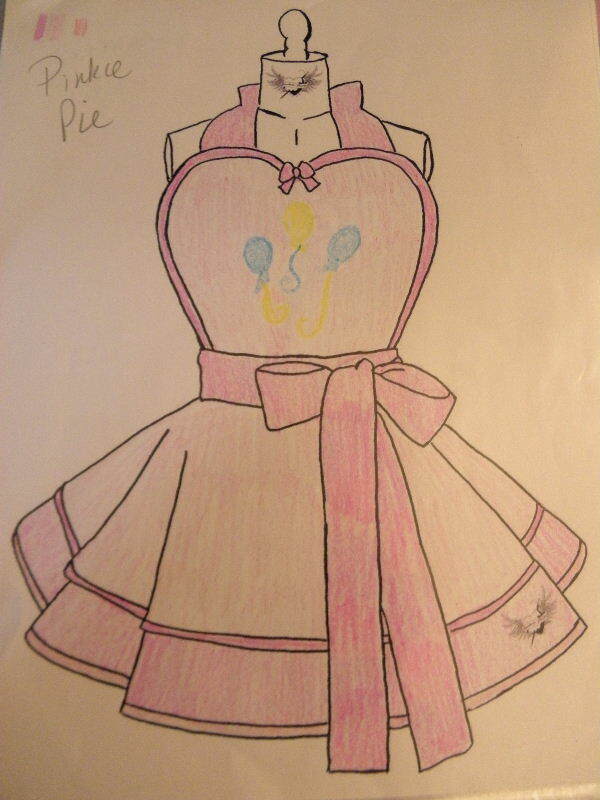 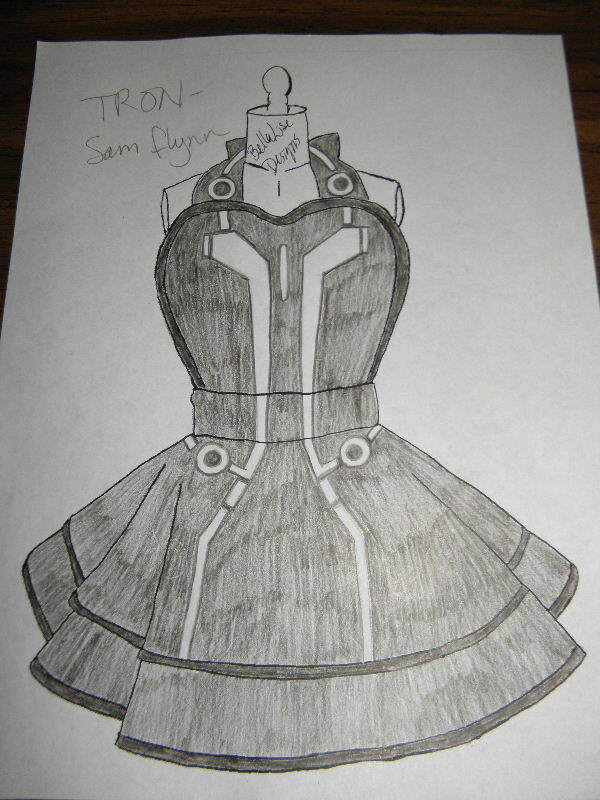 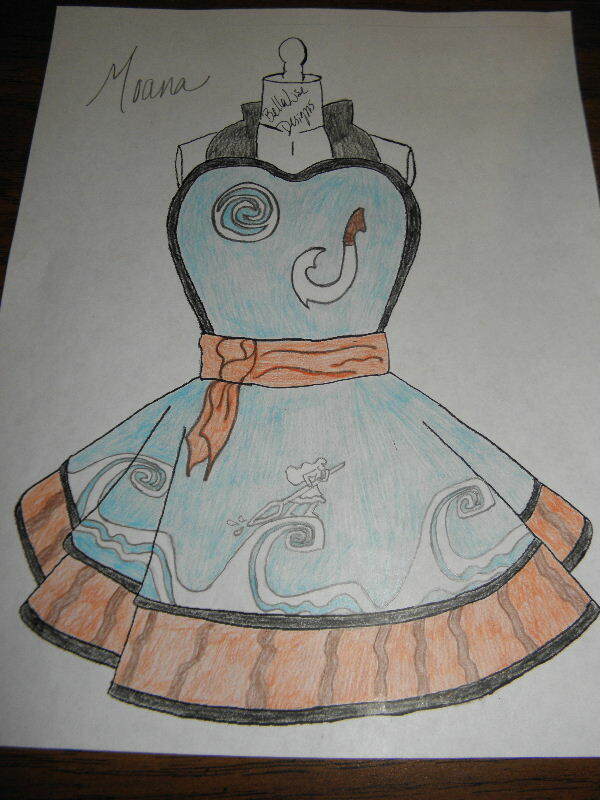 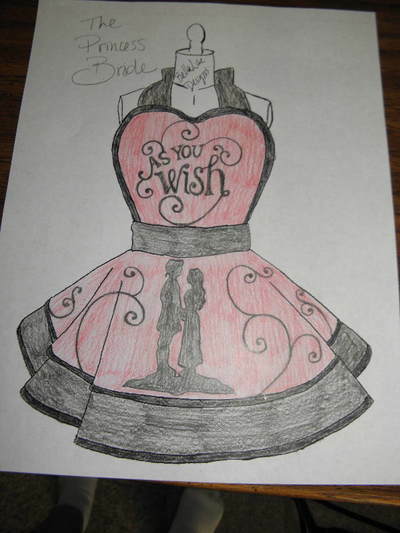 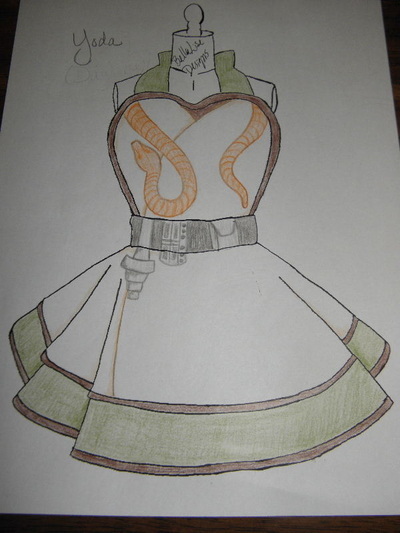 You can also find some future apron sketches that I just haven't gotten to making yet. 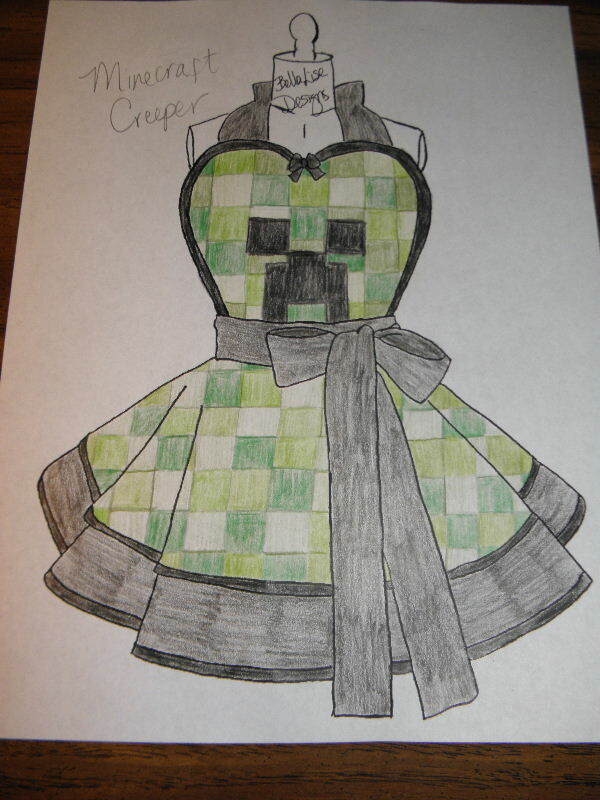 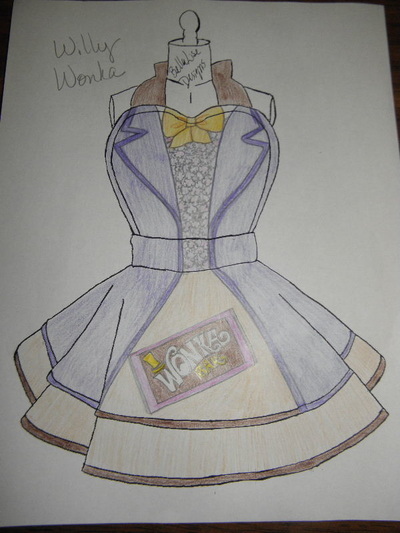 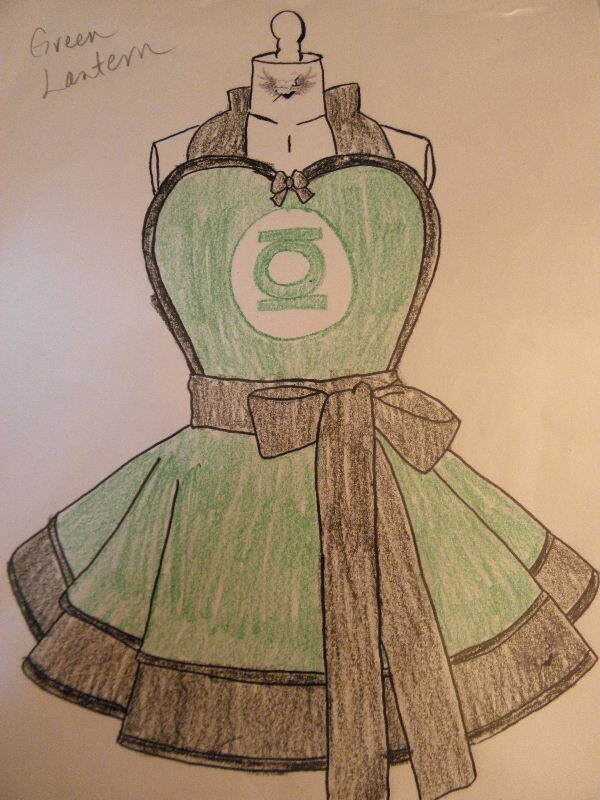 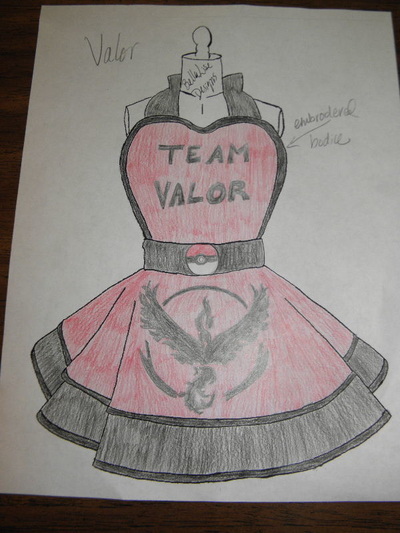 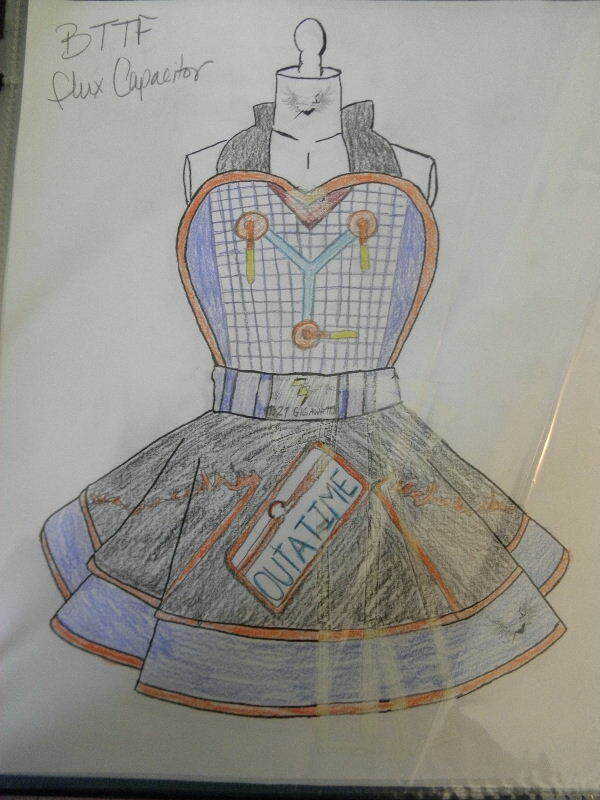 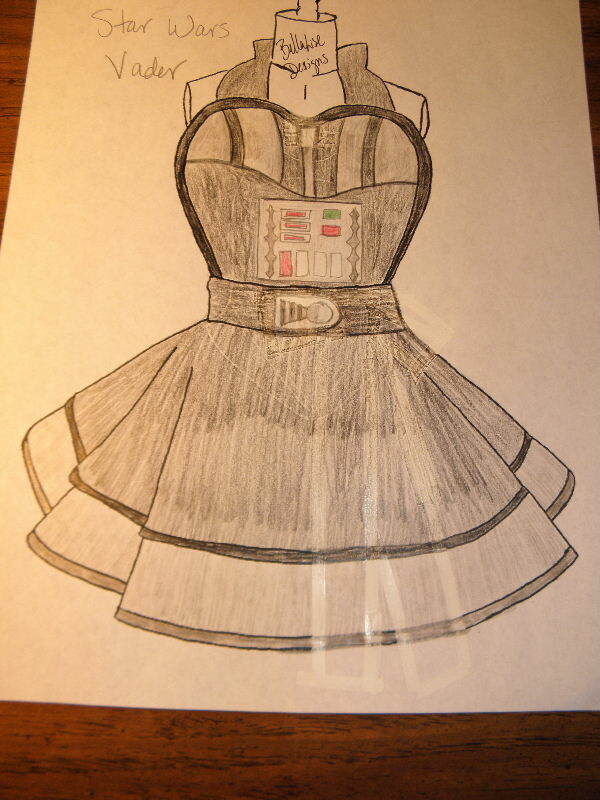 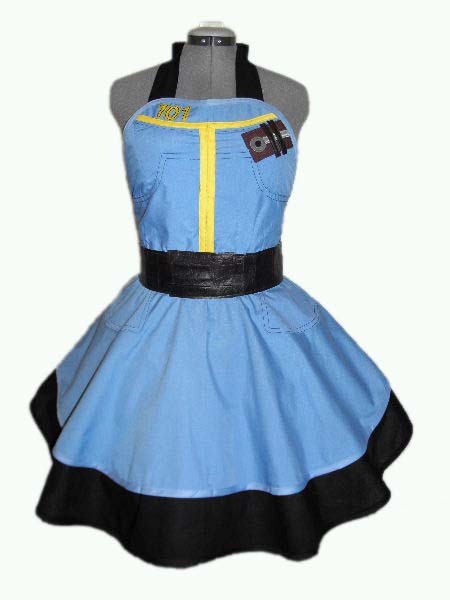 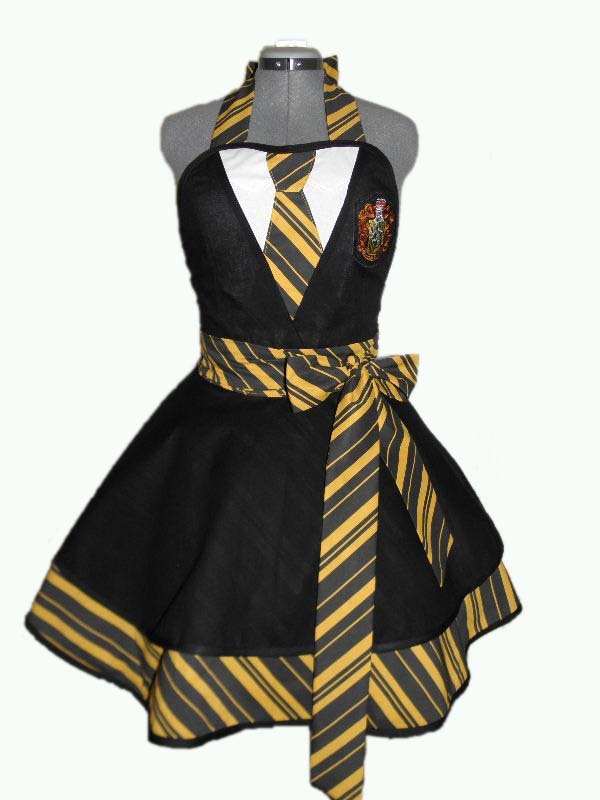 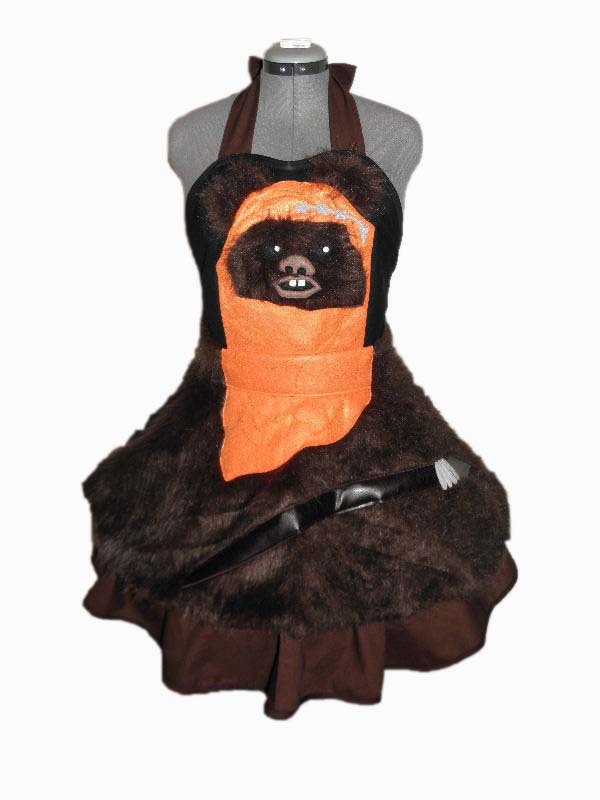 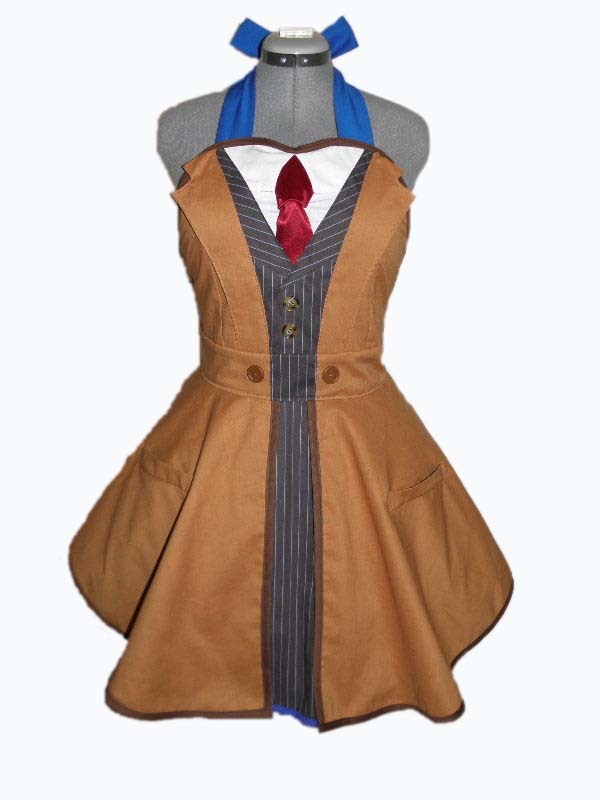 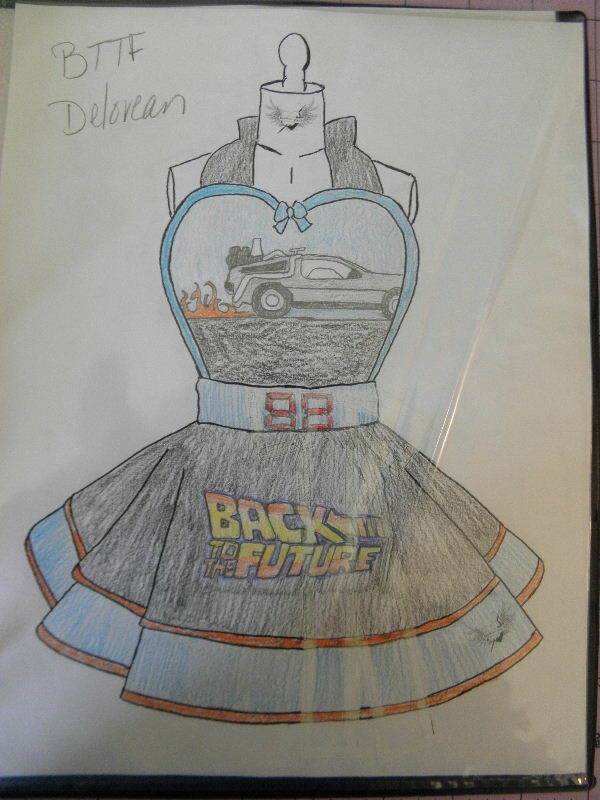 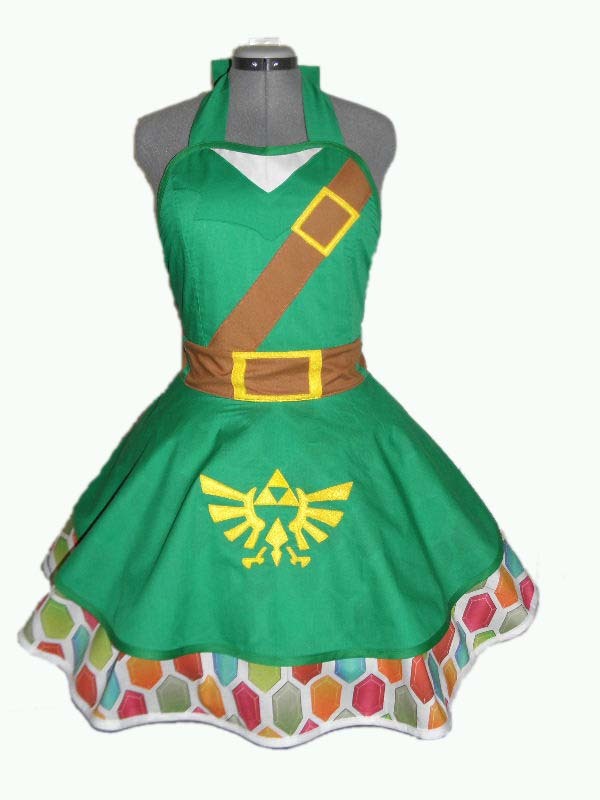 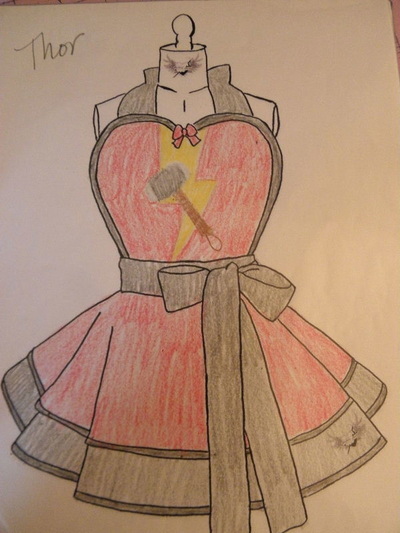 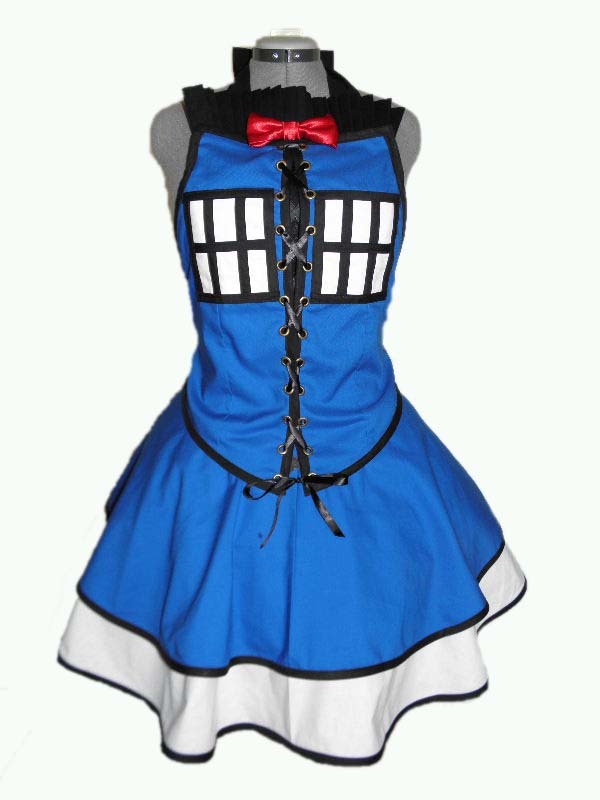 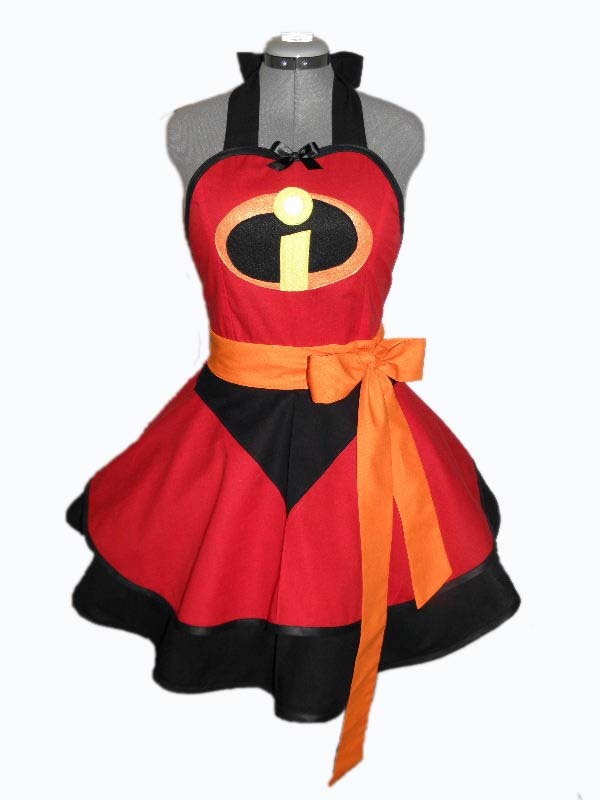 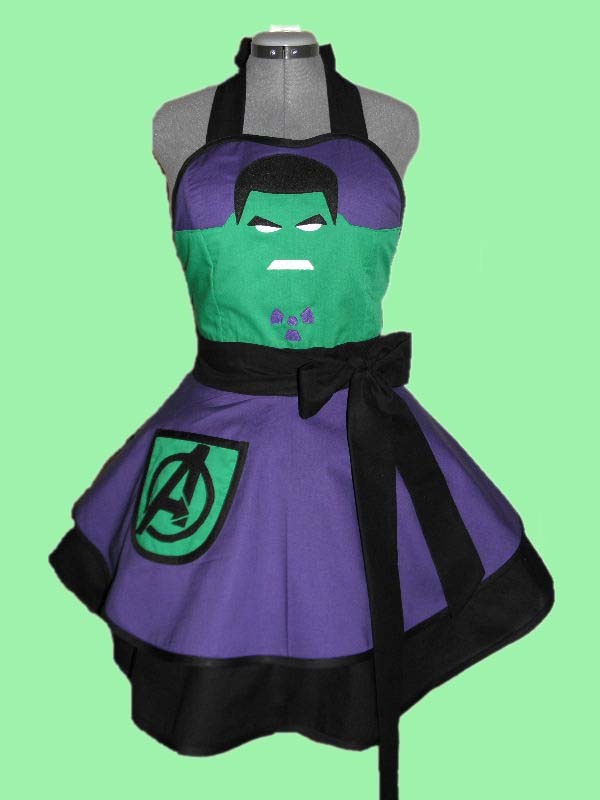 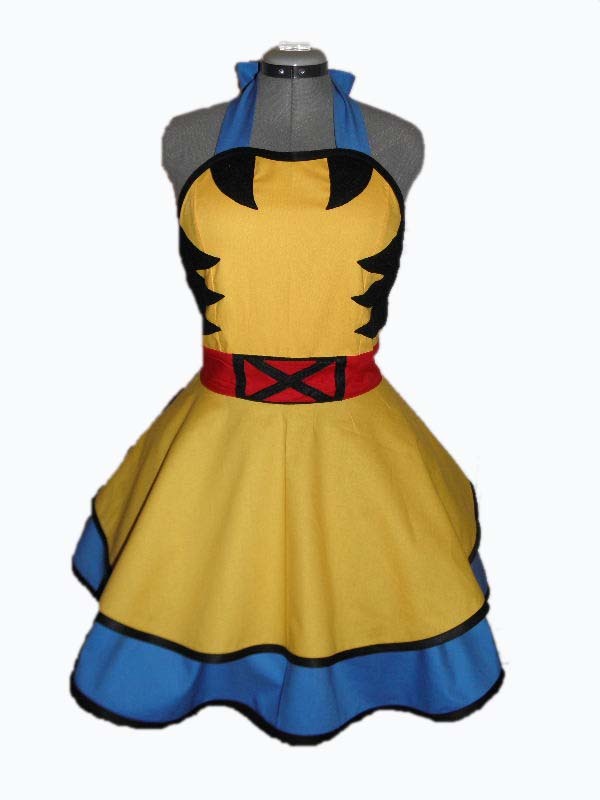 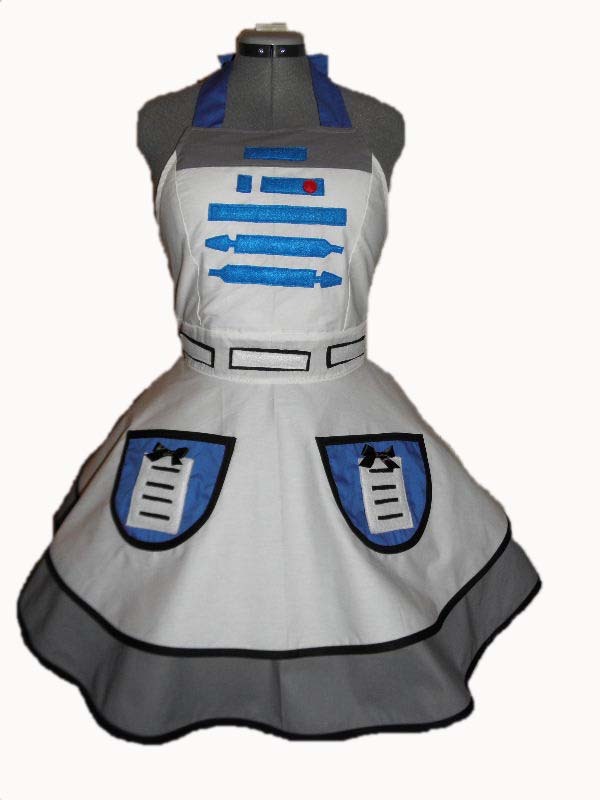 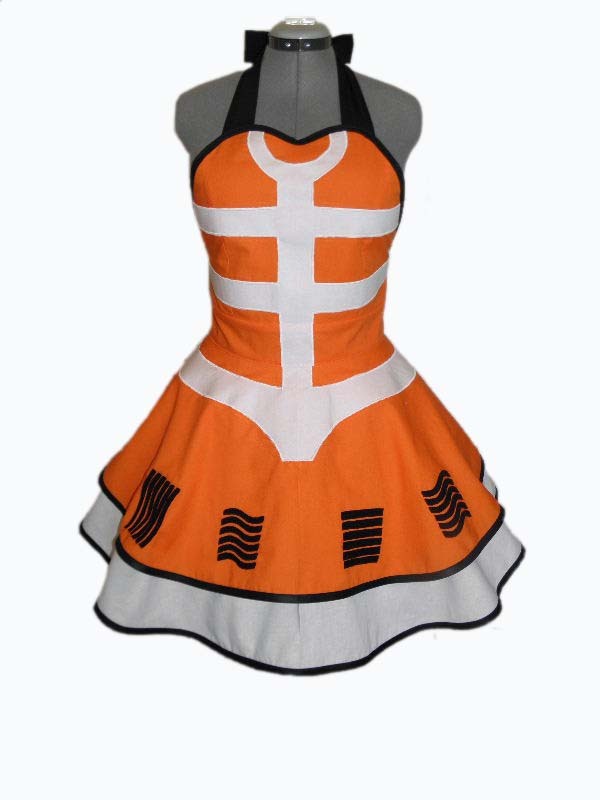 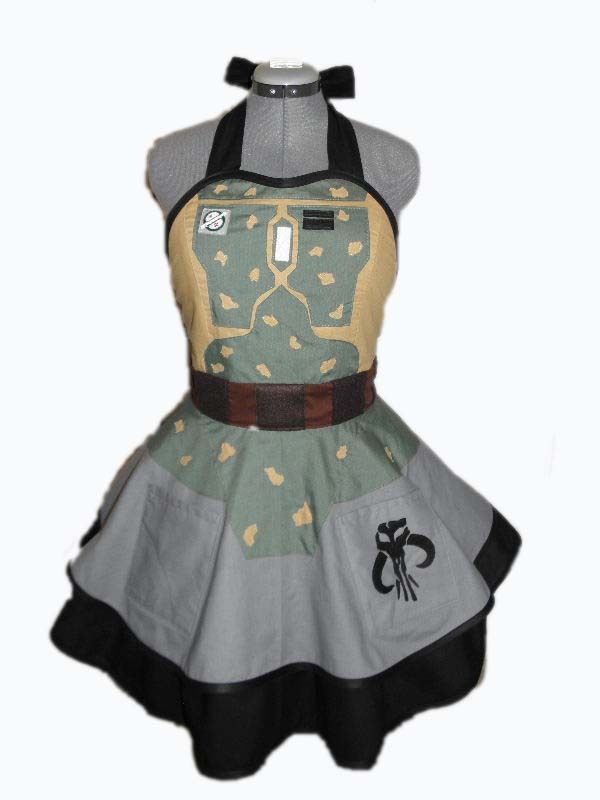 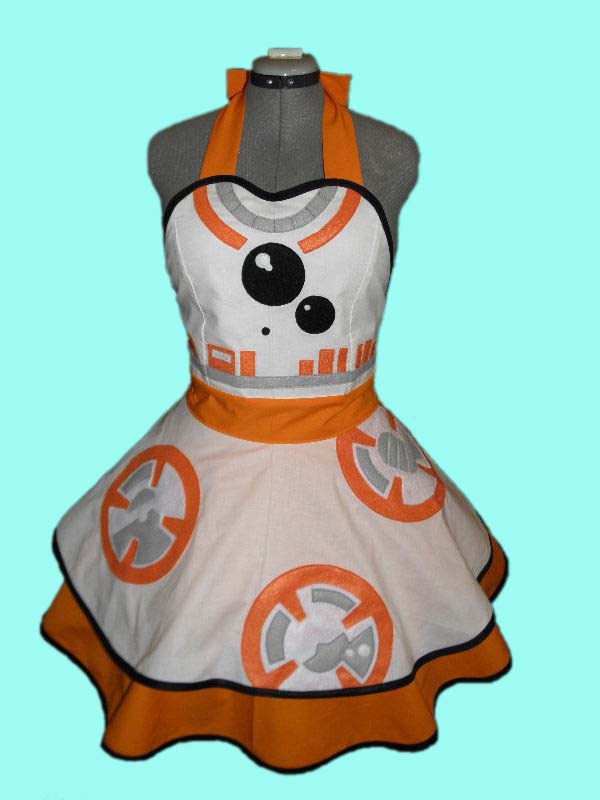 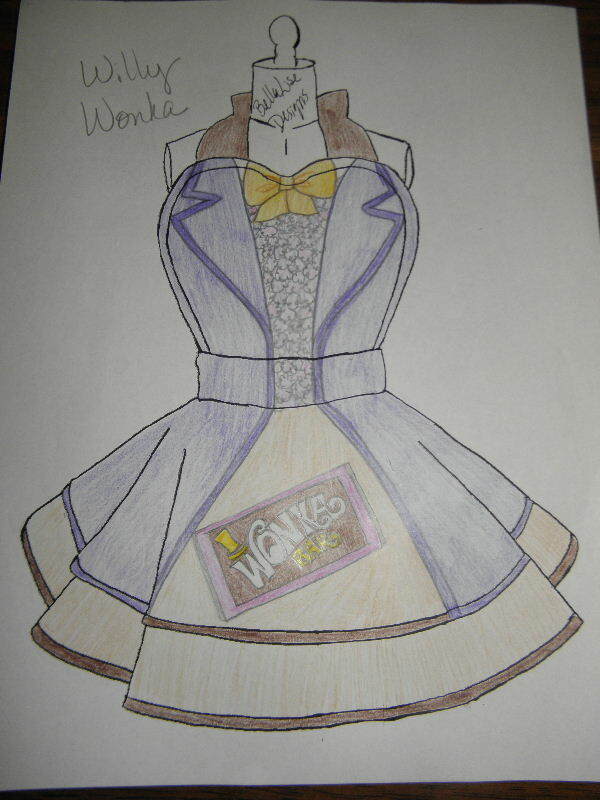 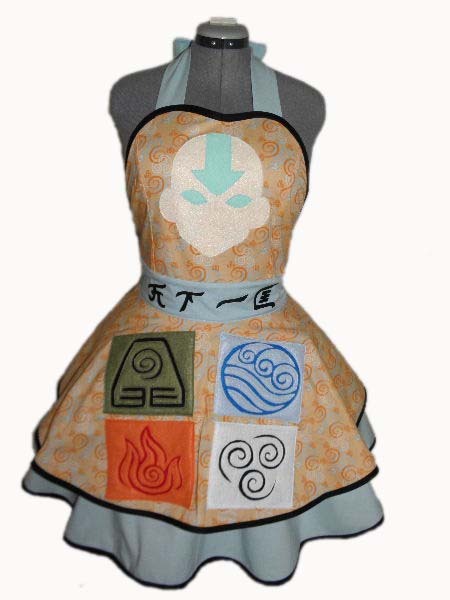 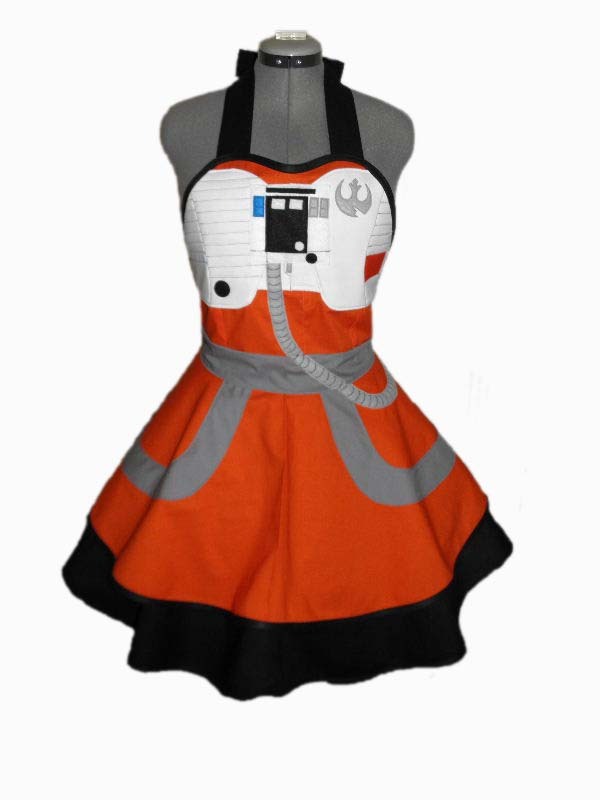 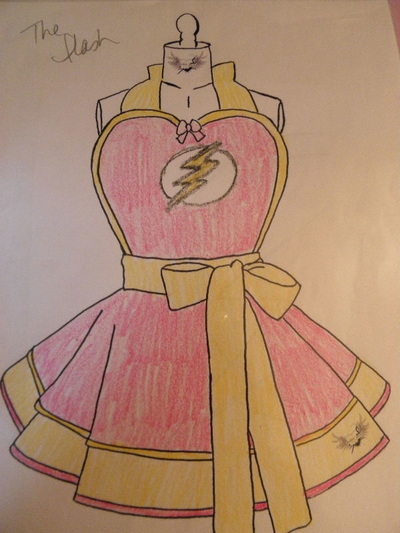 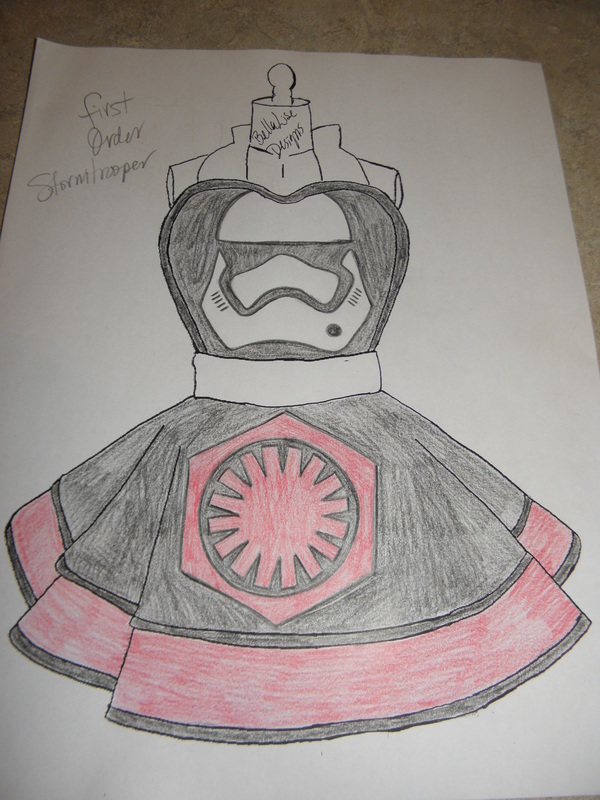 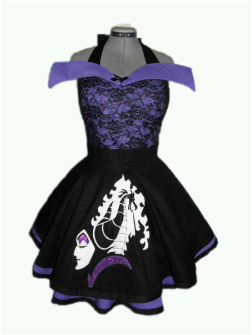 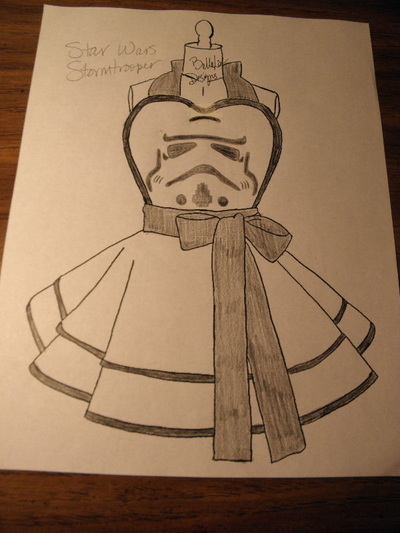 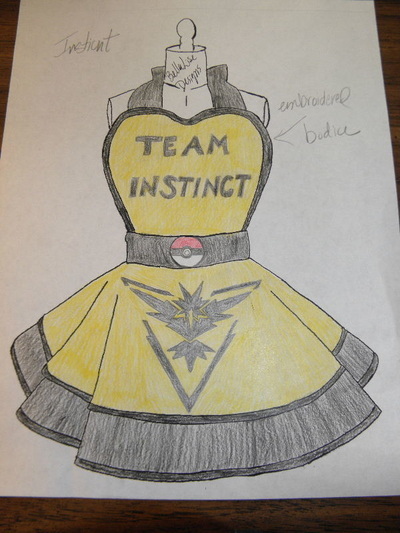 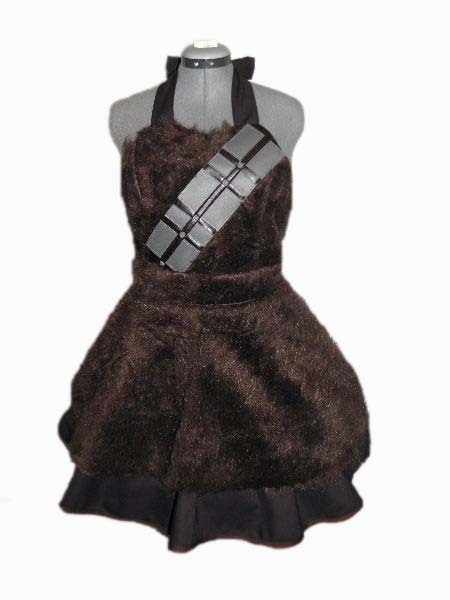 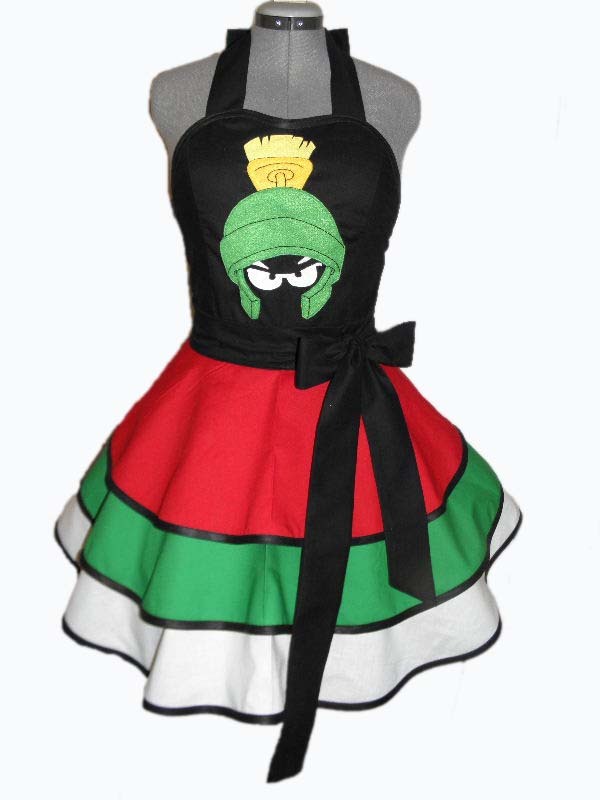 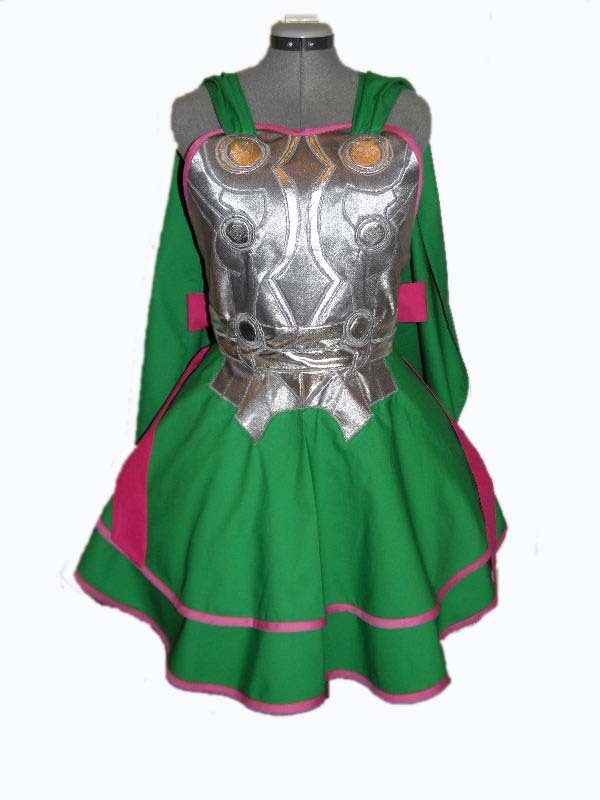 Everything for the geek girl in you. 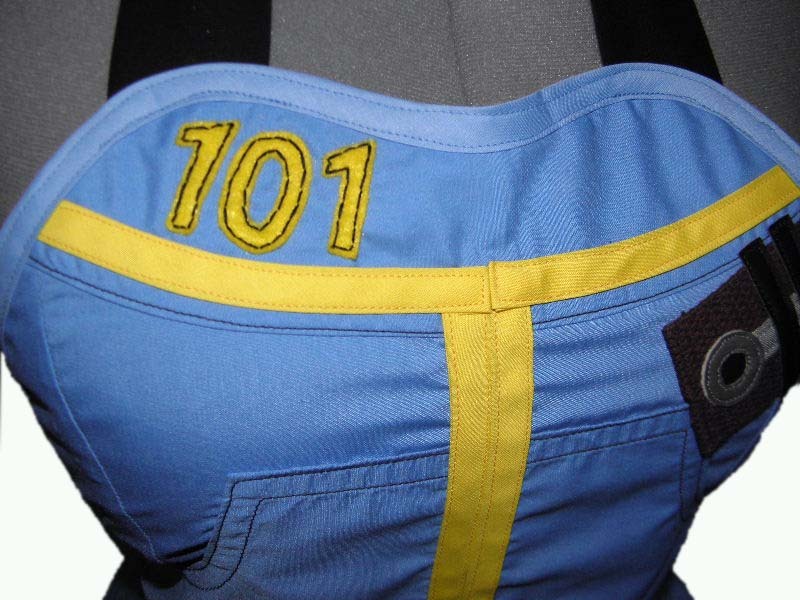 "101" hand stitched to the bodice. 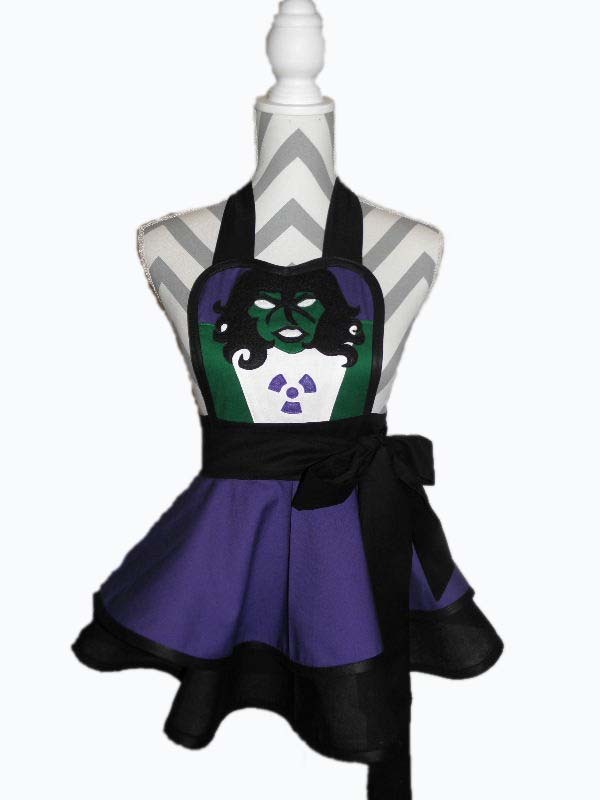 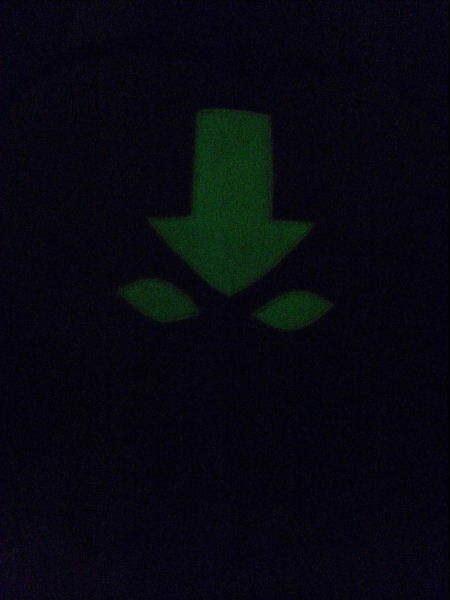 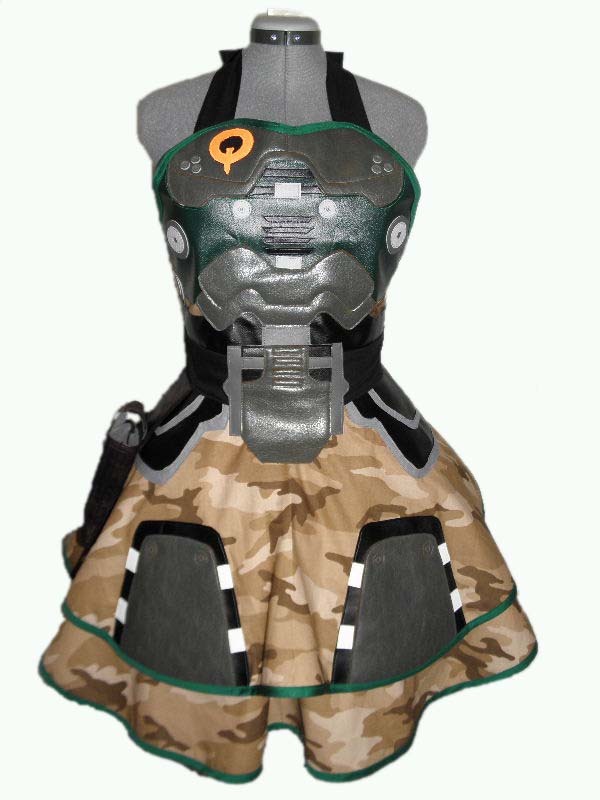 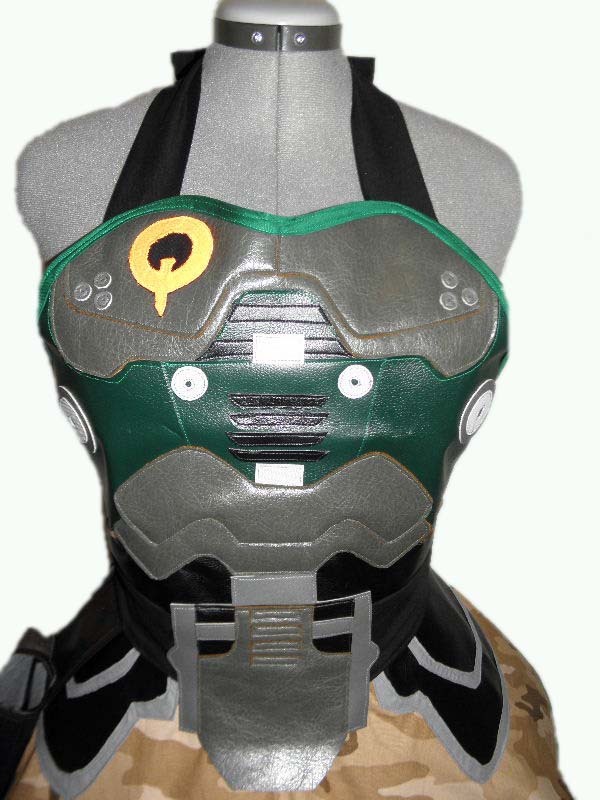 Custom ordered Quake cosplay apron for a 20 year Quake convention. 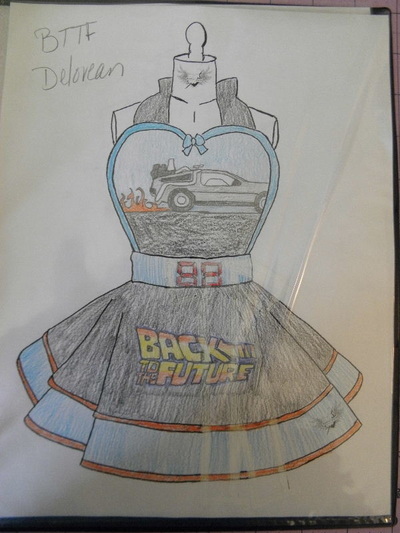 Movie, TV, and pop culture references. 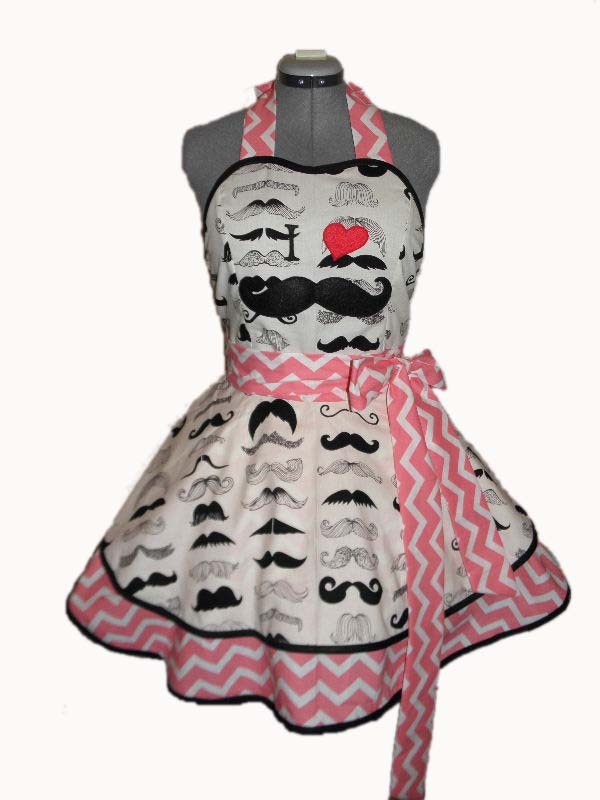 For those who love mustaches! 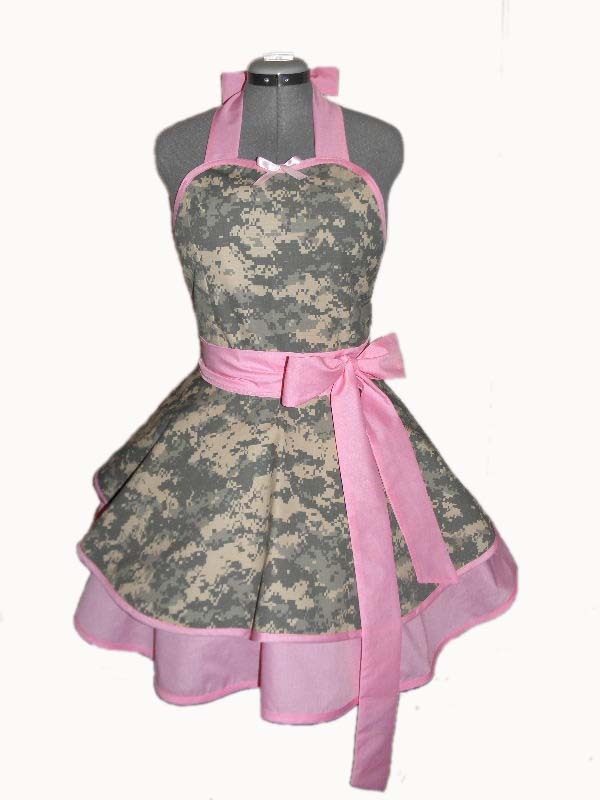 Show your love for your soldier. 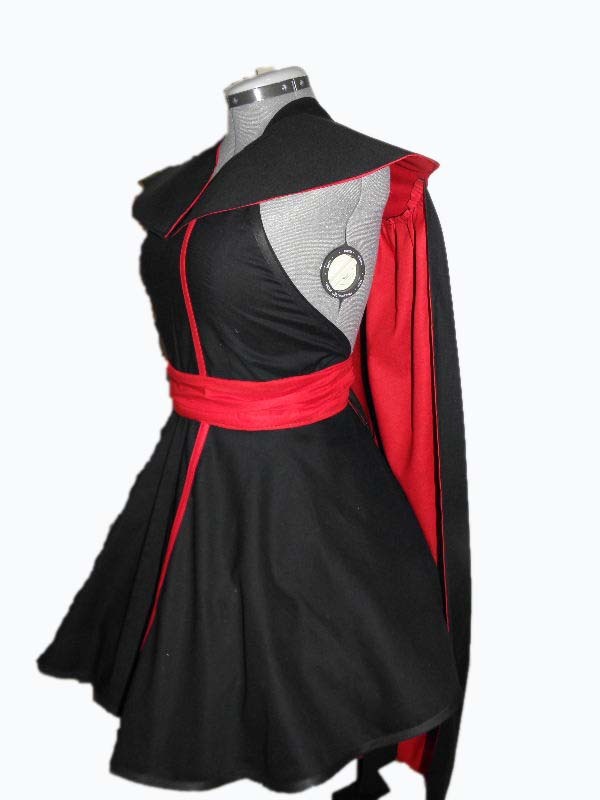 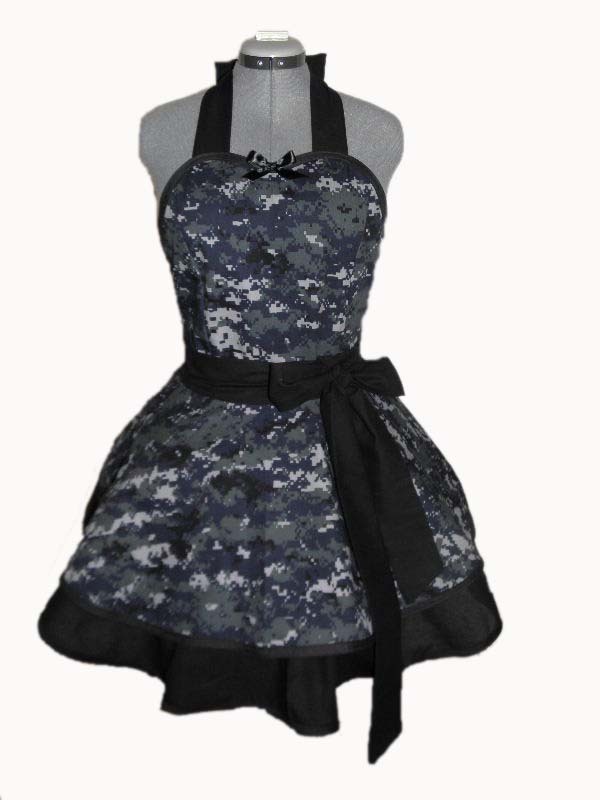 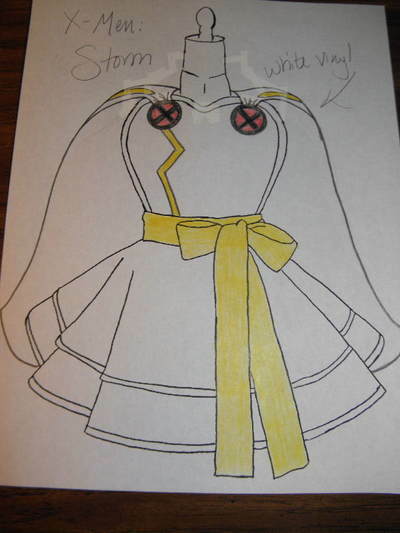 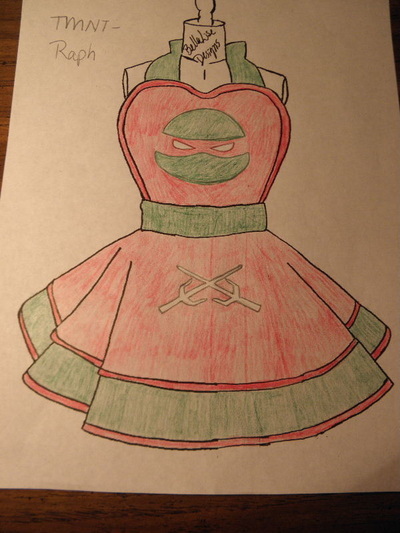 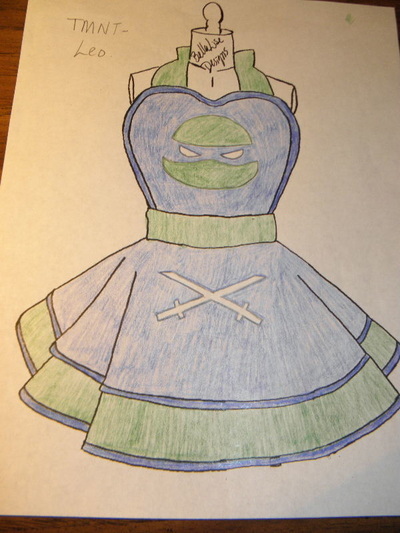 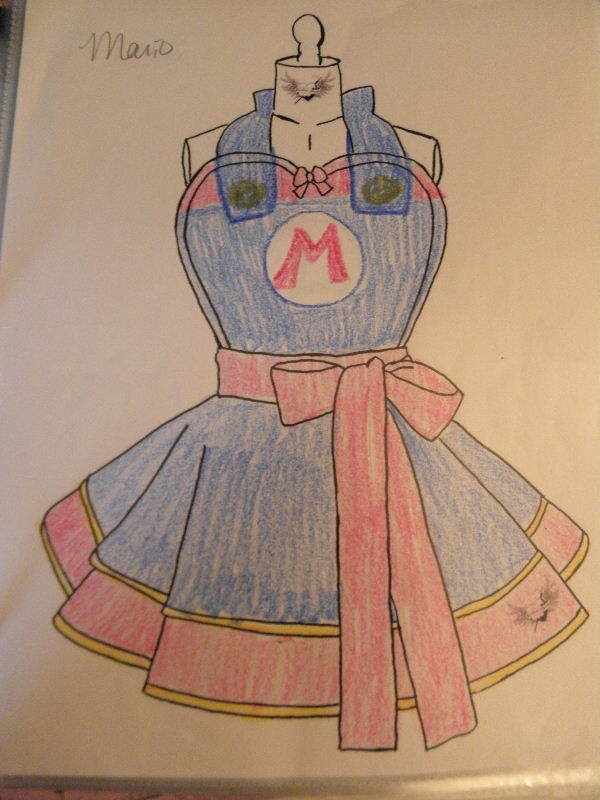 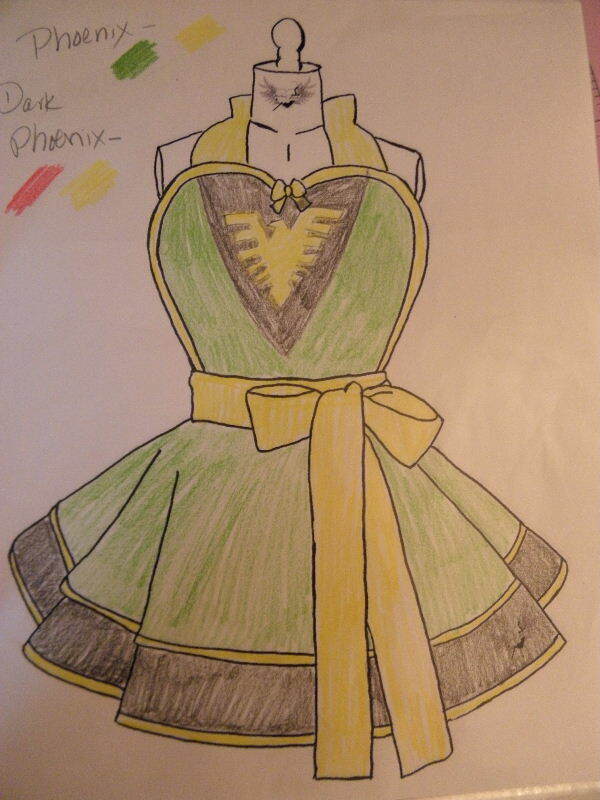 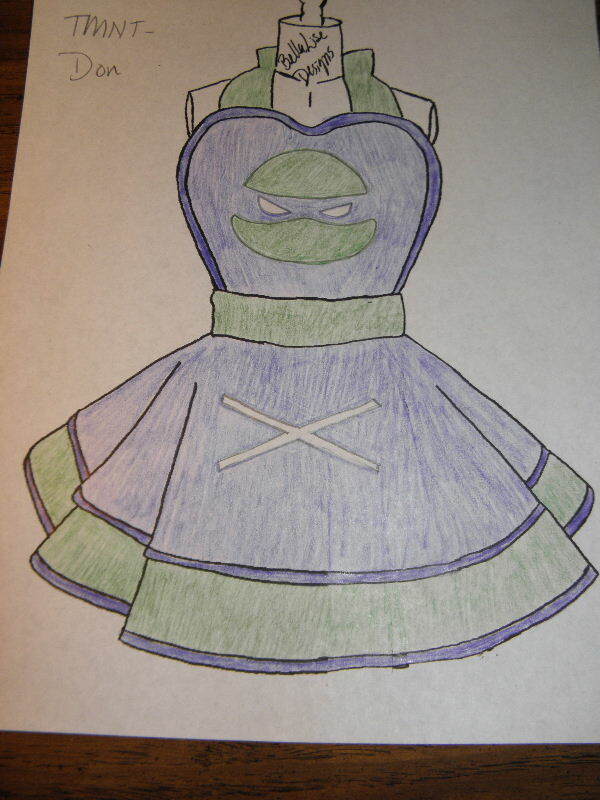 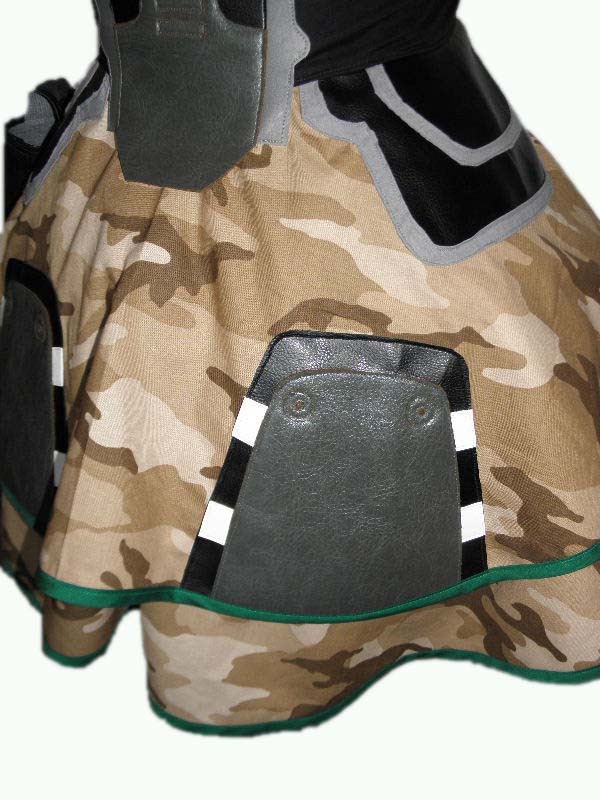 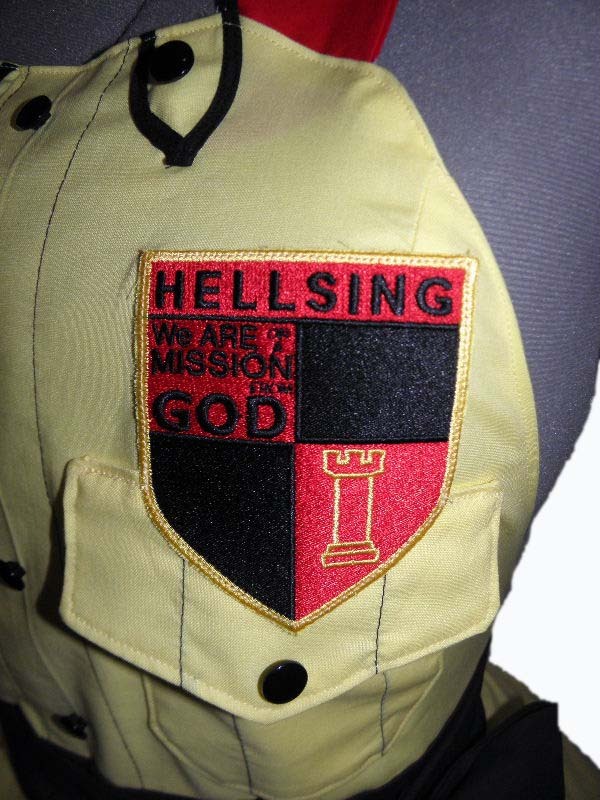 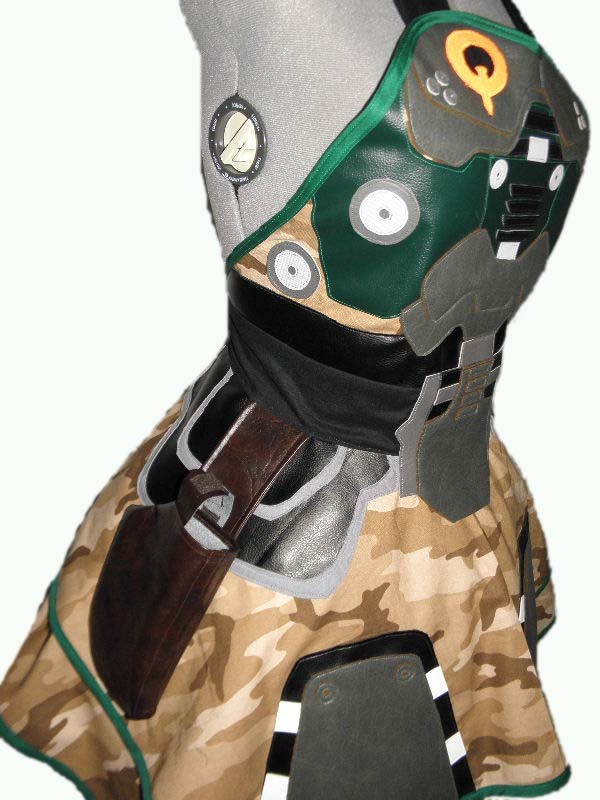 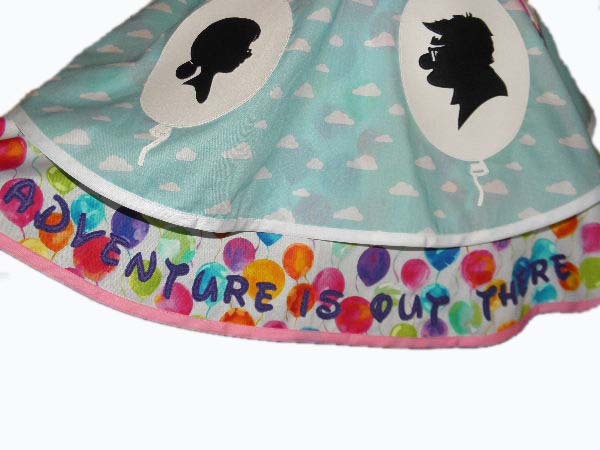 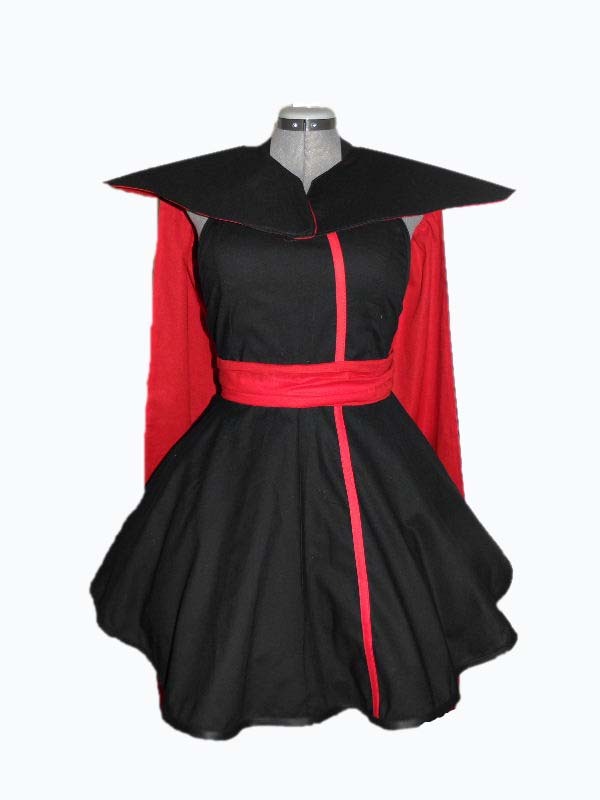 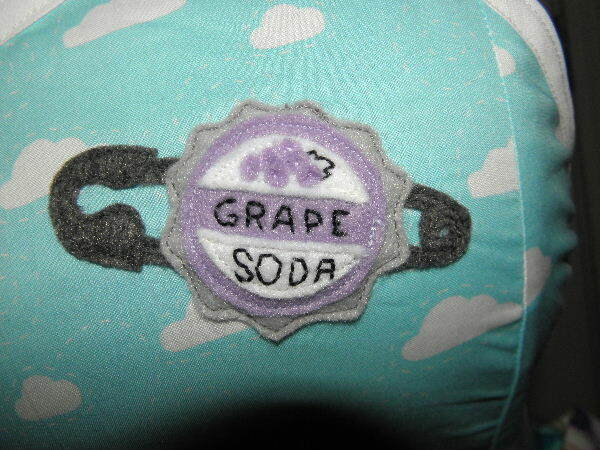 Can be made in any uniform style, with any secondary color. 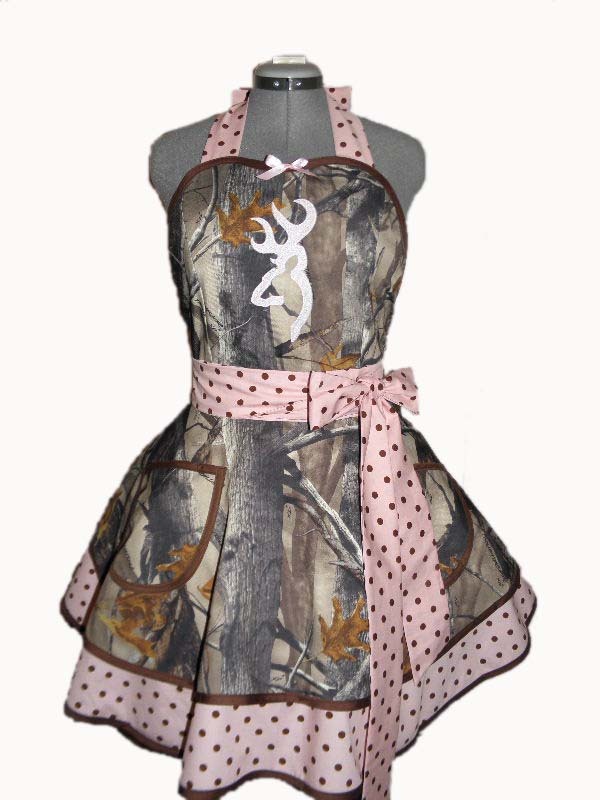 Country girl princesses and those who love their camo. 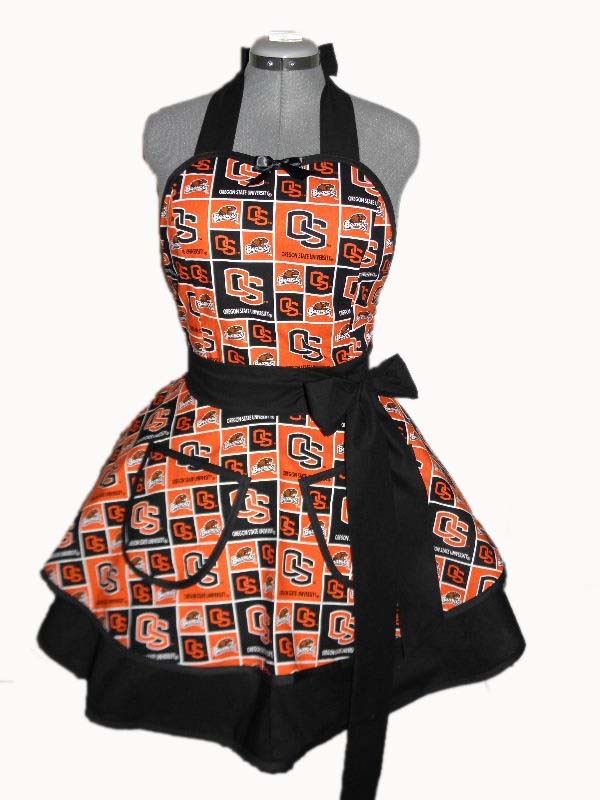 Show your love of your favorite sports team! 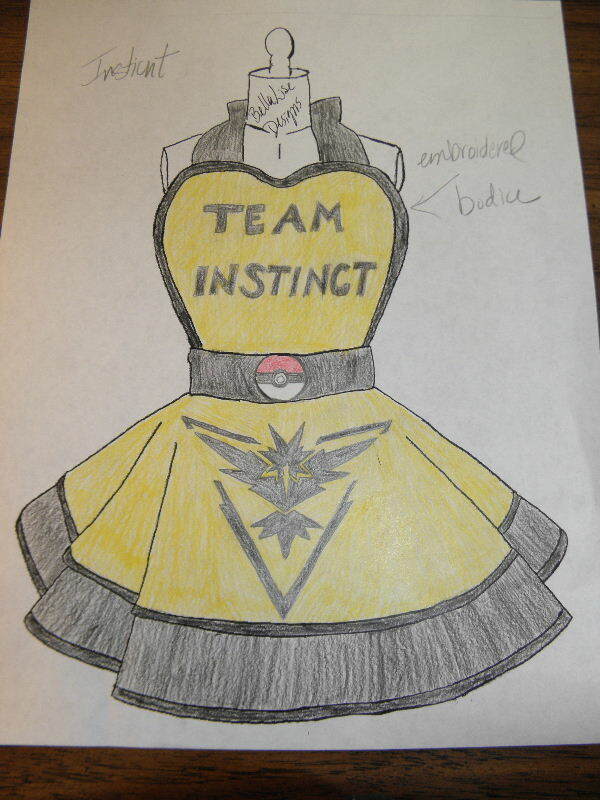 Choose your team, and contrasting color. 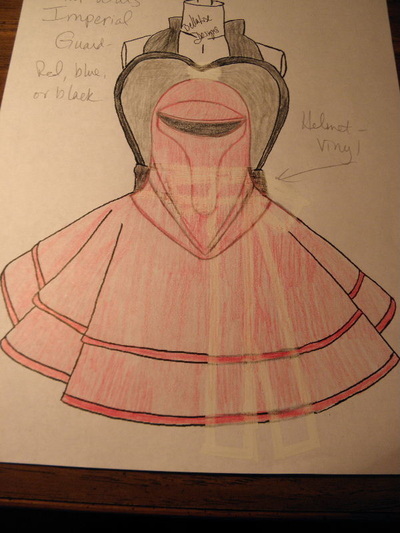 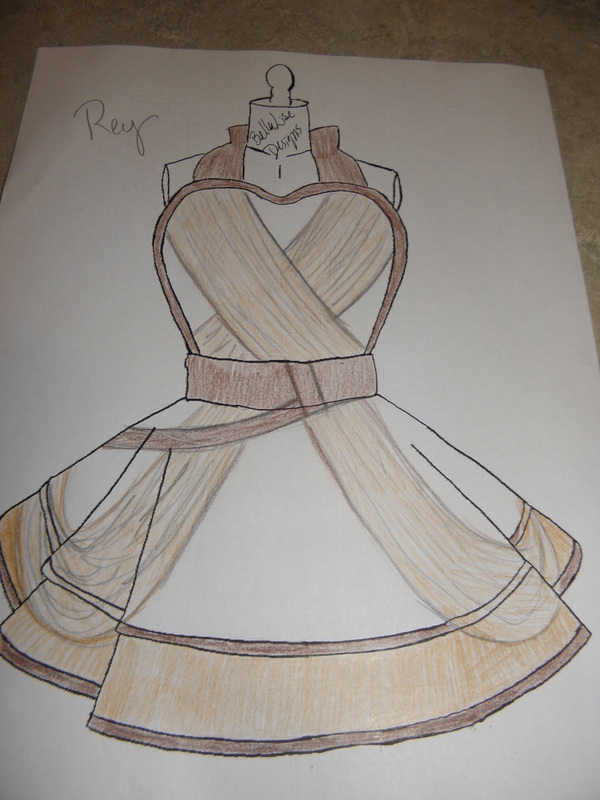 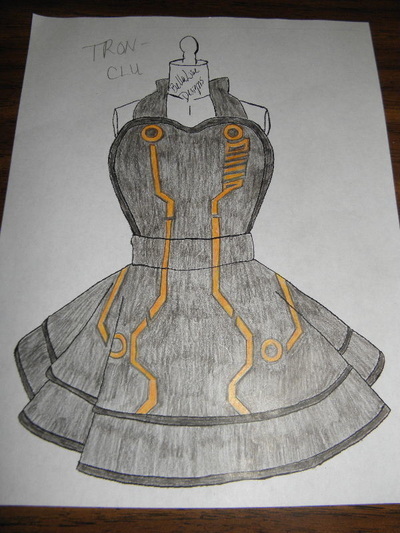 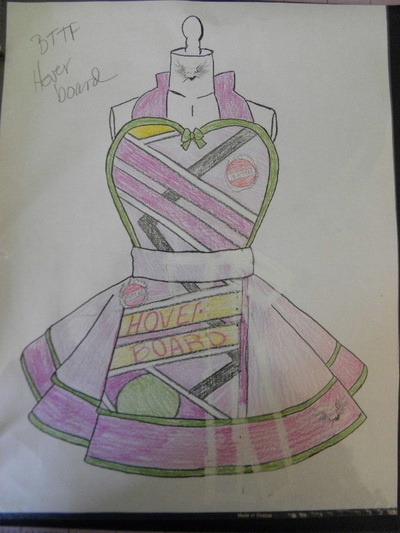 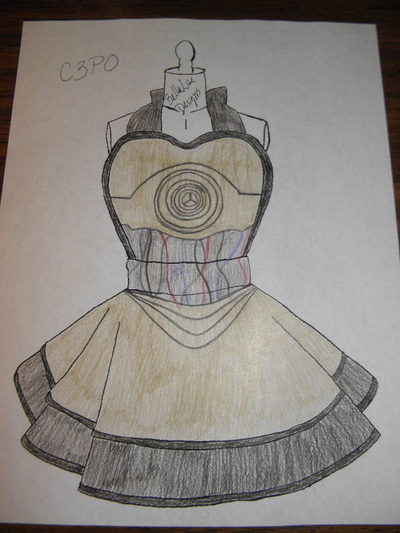 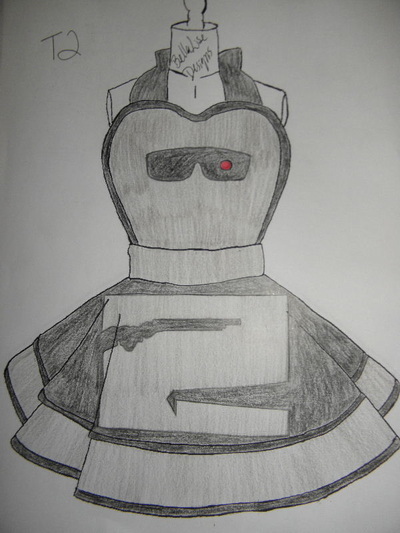 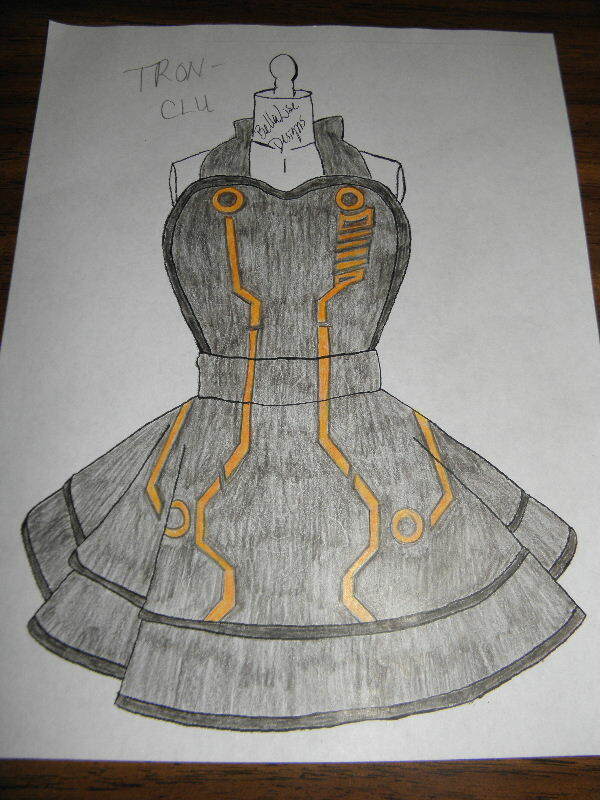 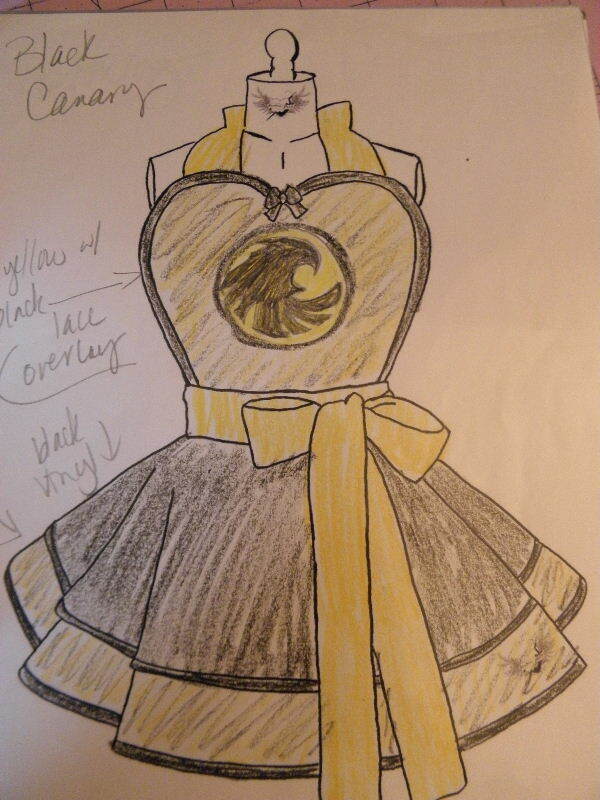 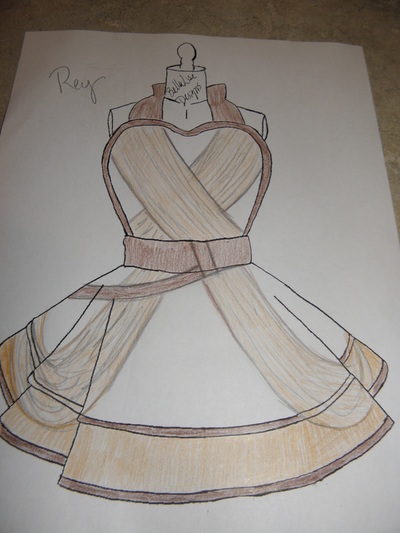 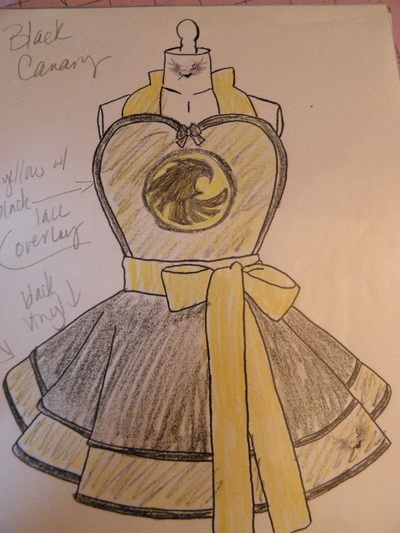 Sketches of designs not yet created. 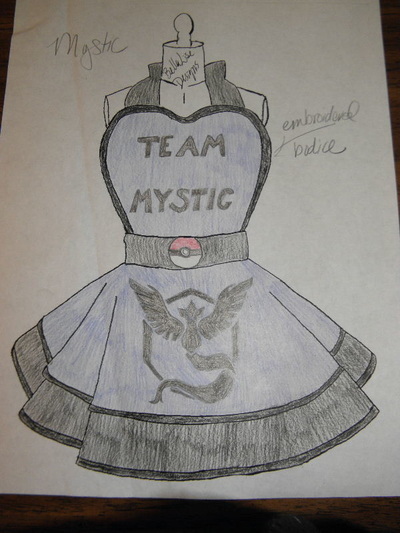 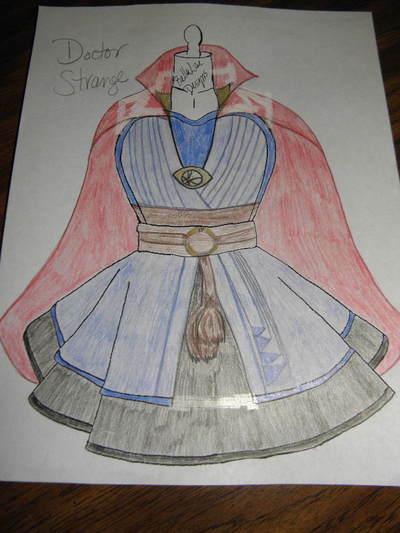 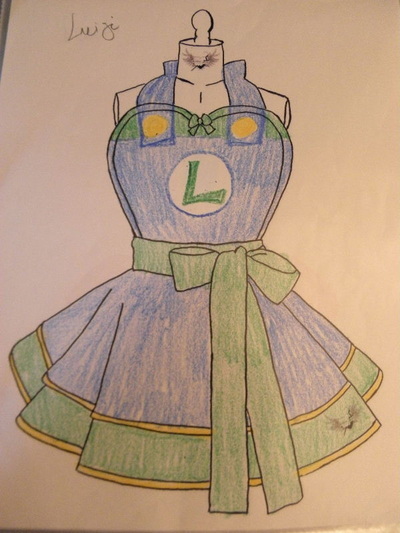 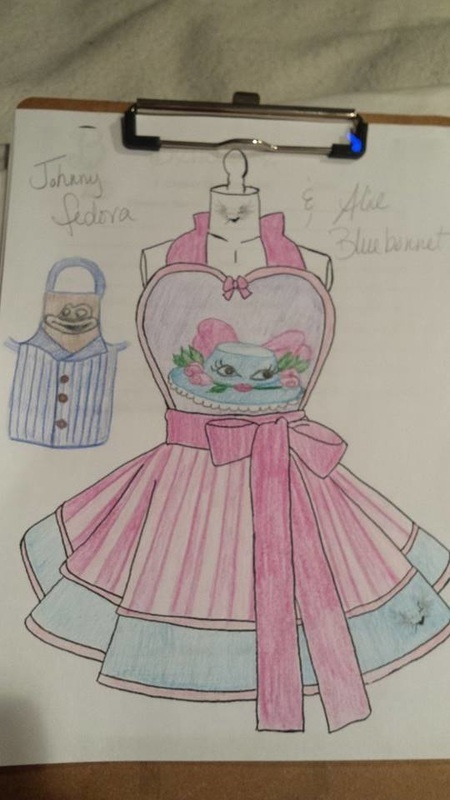 Please DO NOT steal my designs! 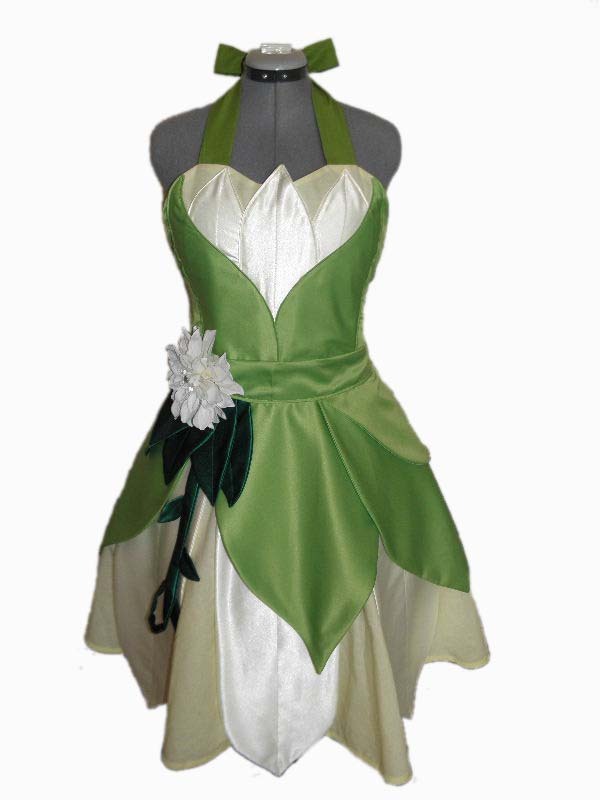 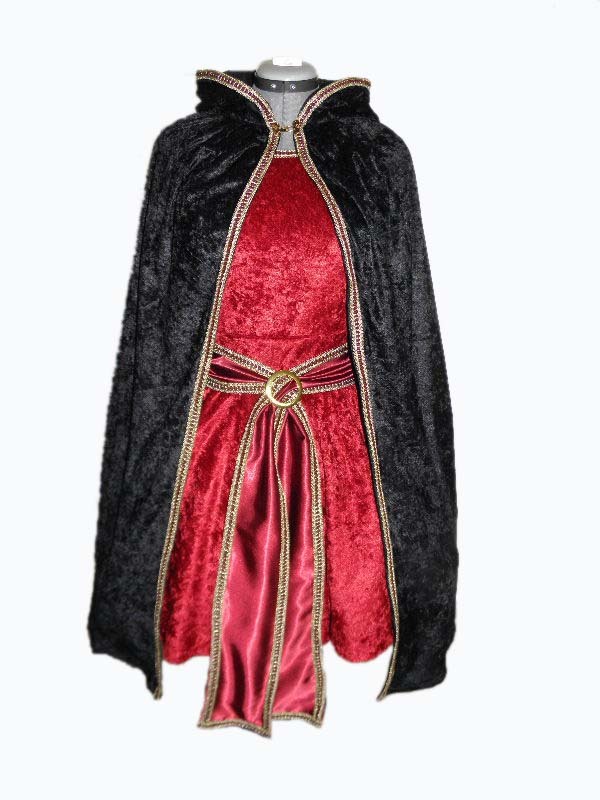 These take a great deal of time and effort to create, and are the property of BellaLise Designs. Feel free to request any of these designs, or create your own with custom embroidery.